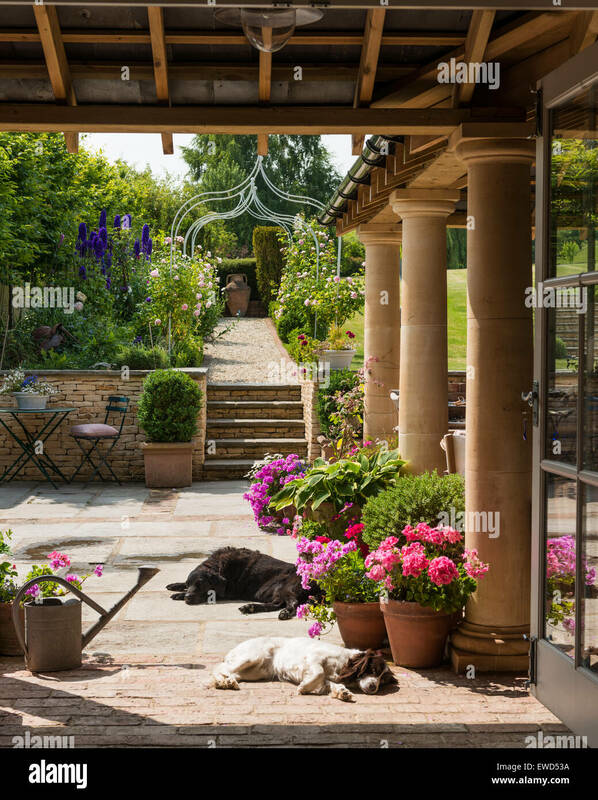 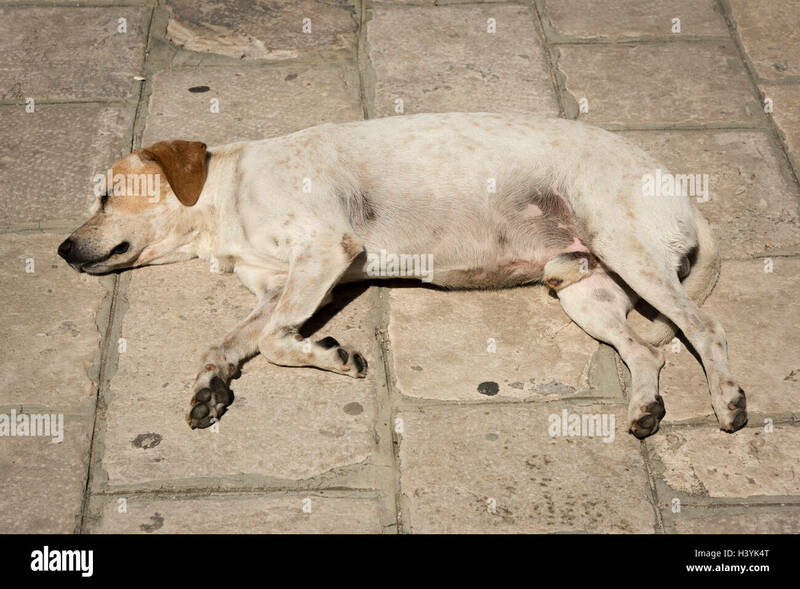 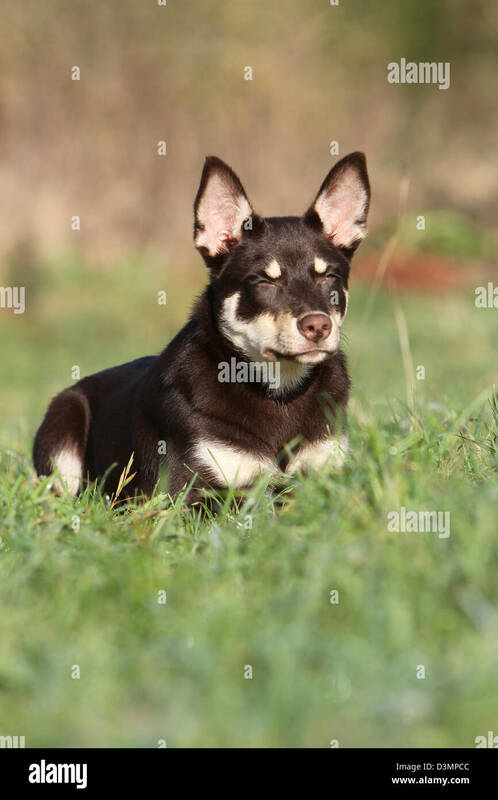 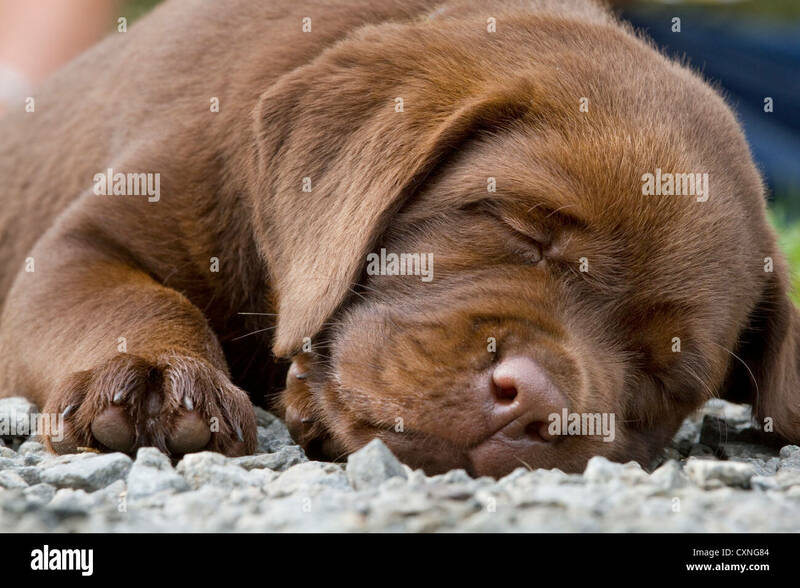 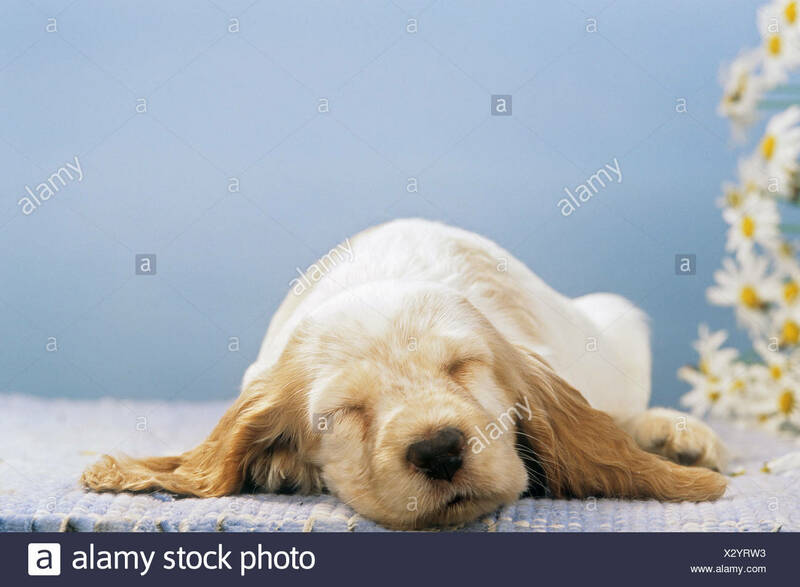 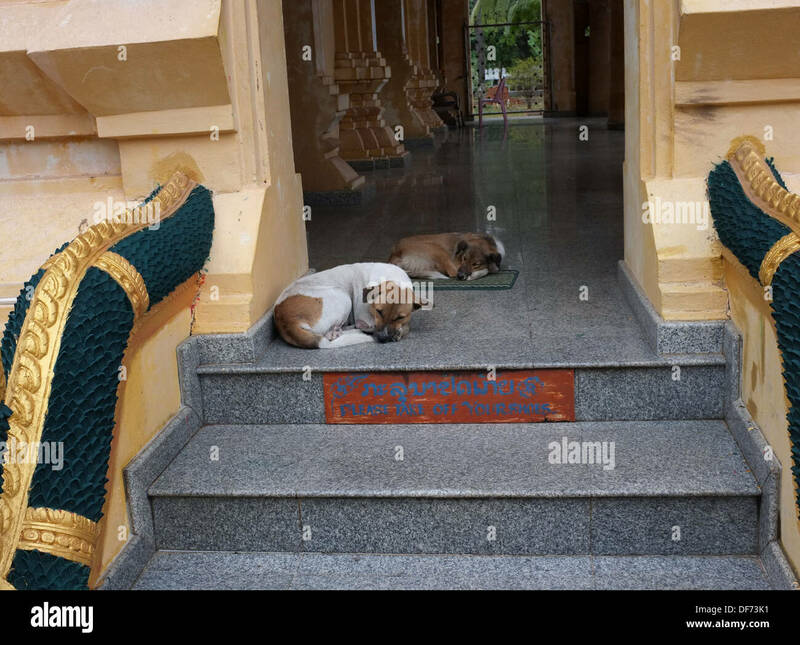 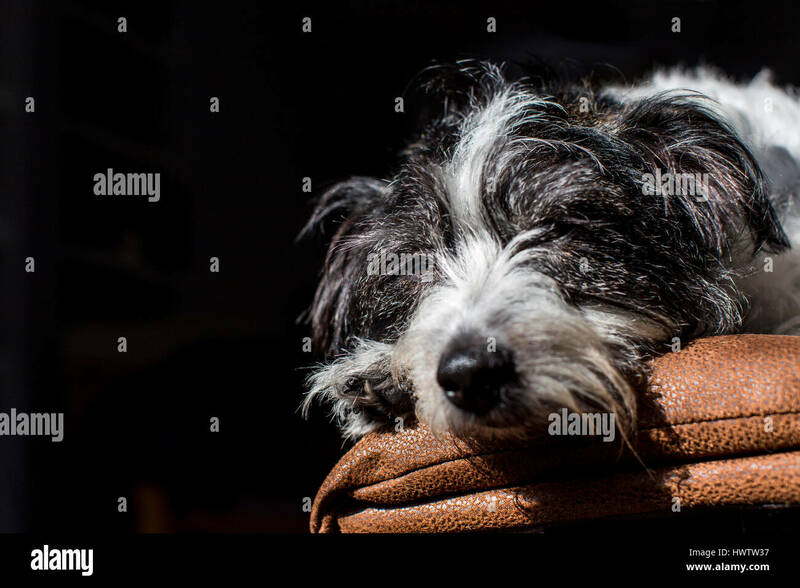 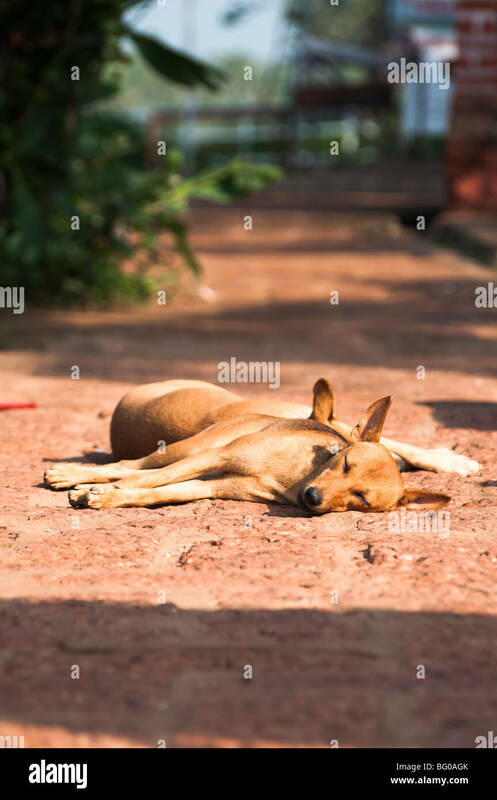 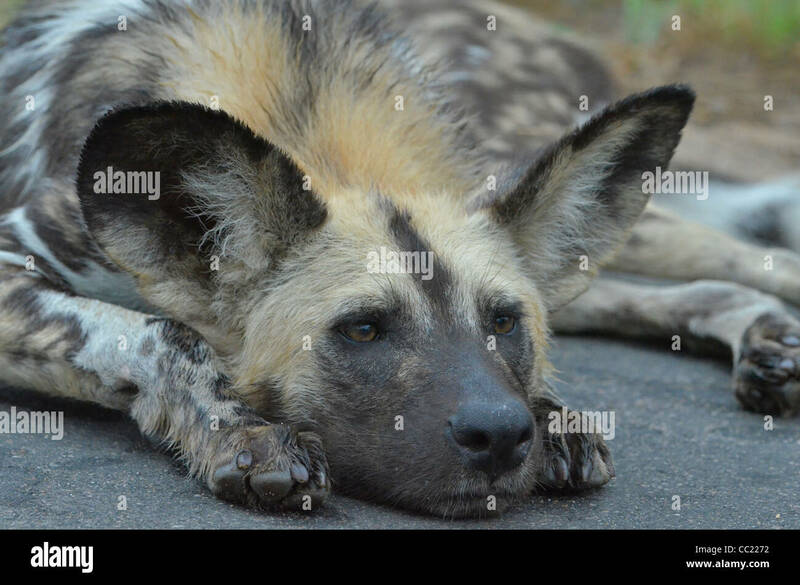 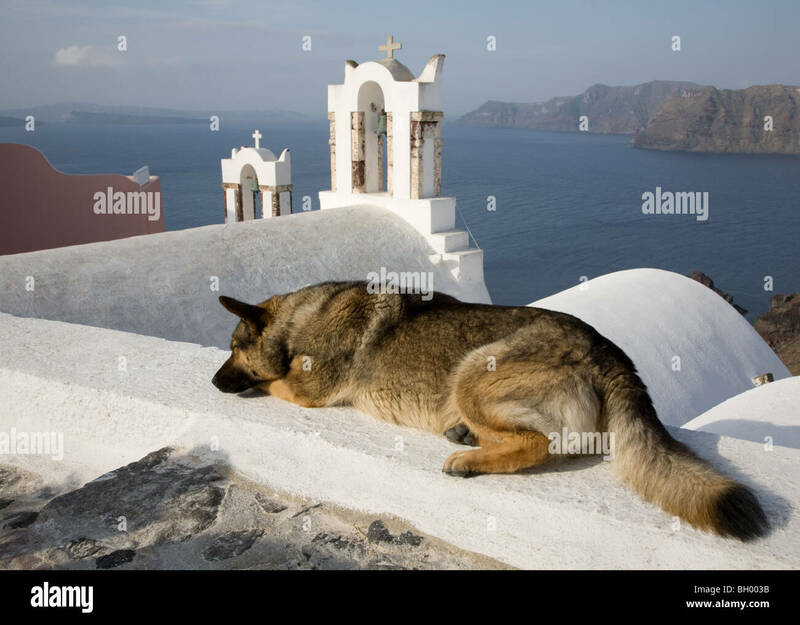 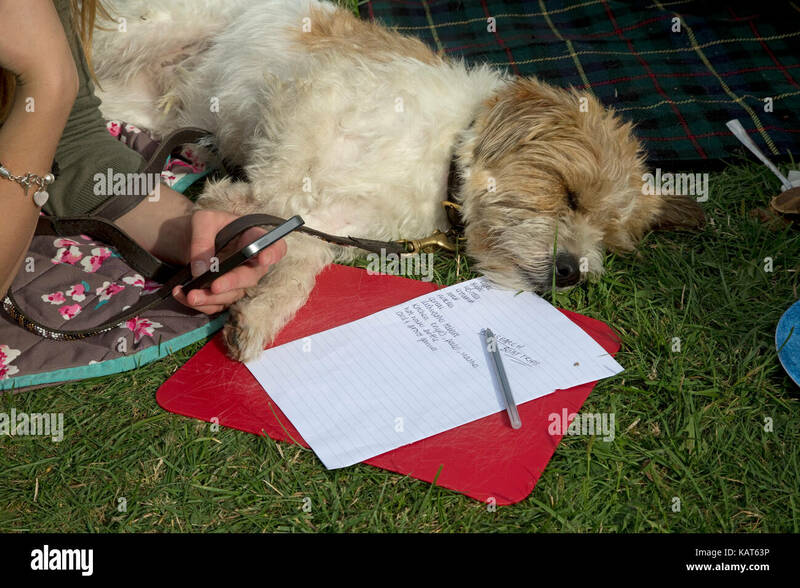 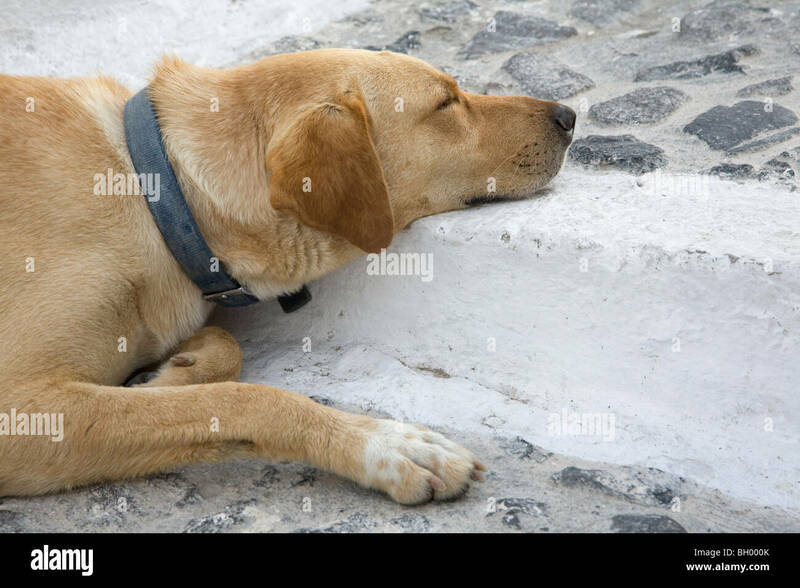 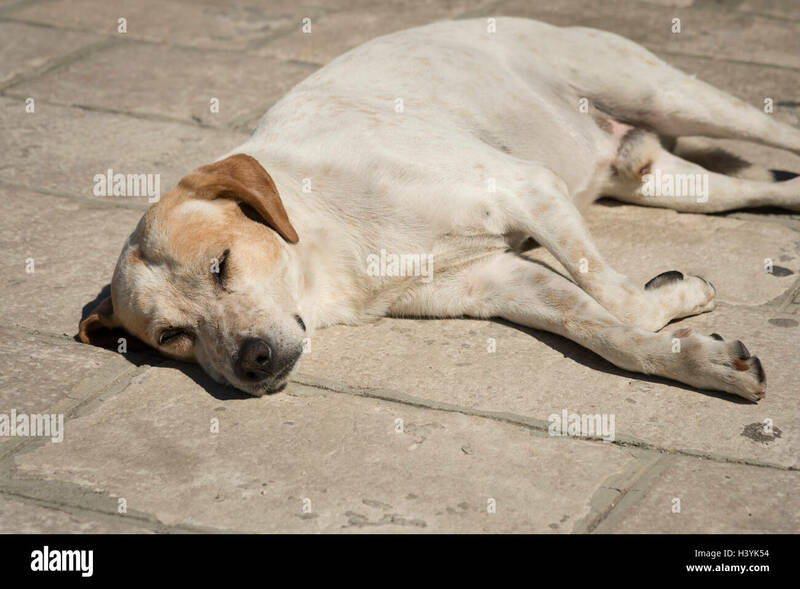 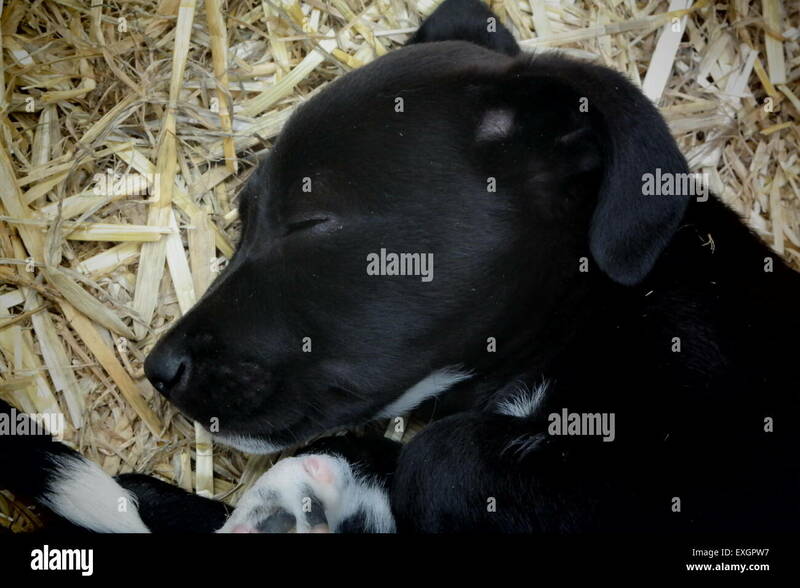 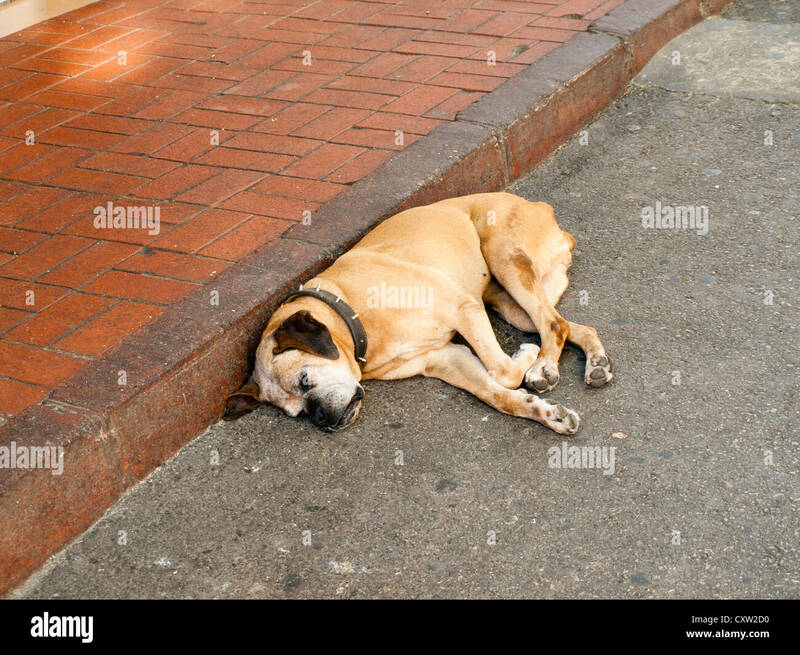 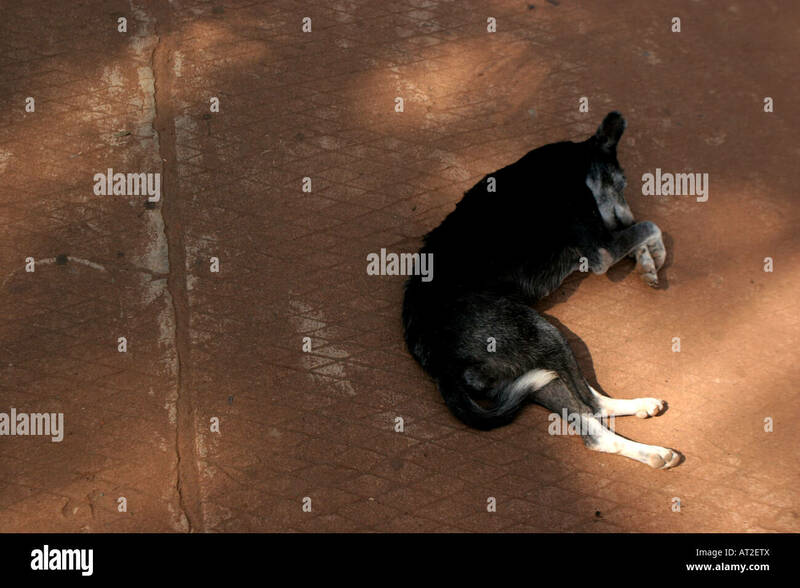 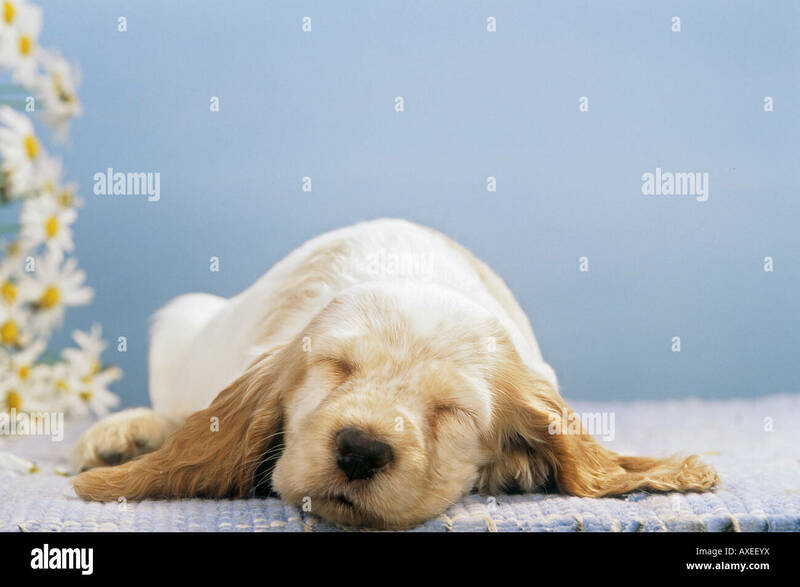 A mongrel dog sleeping in the hot sun on a stone path in the summer. 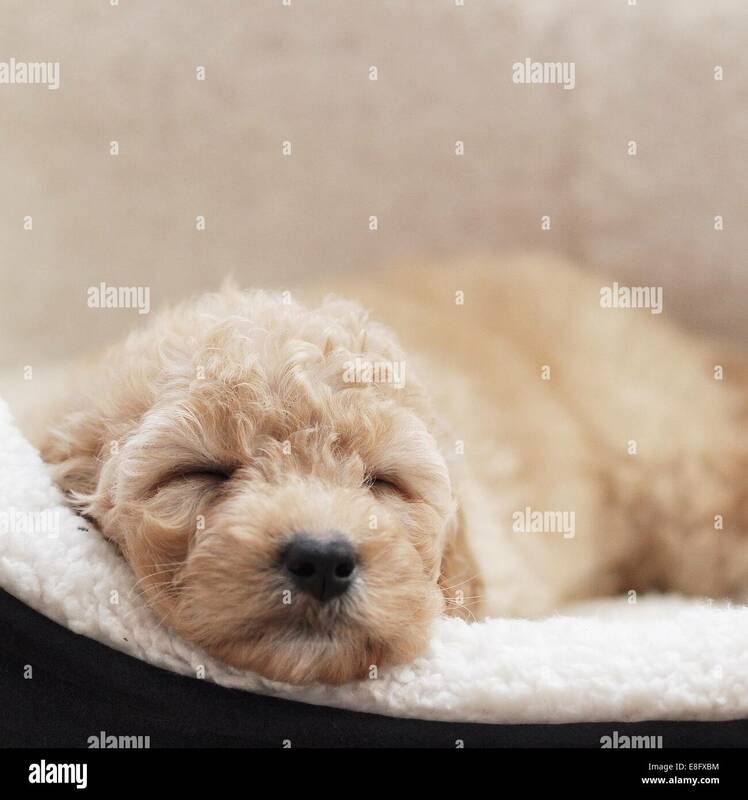 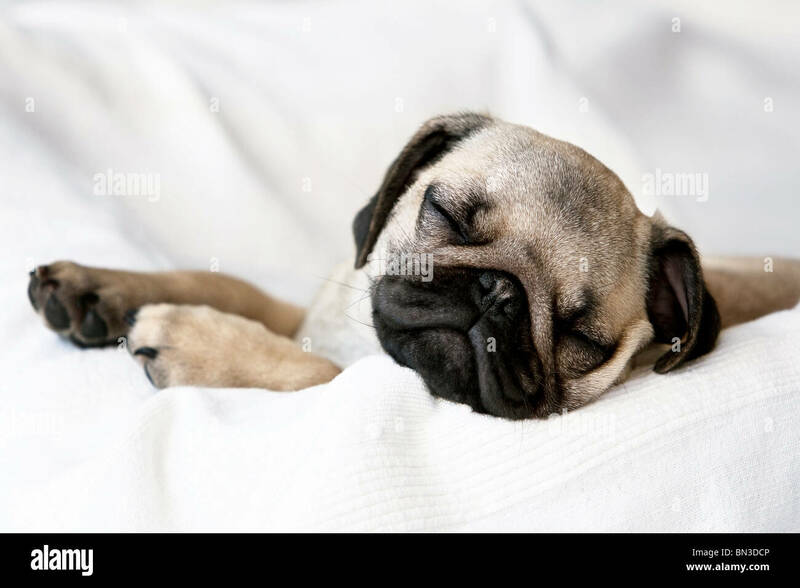 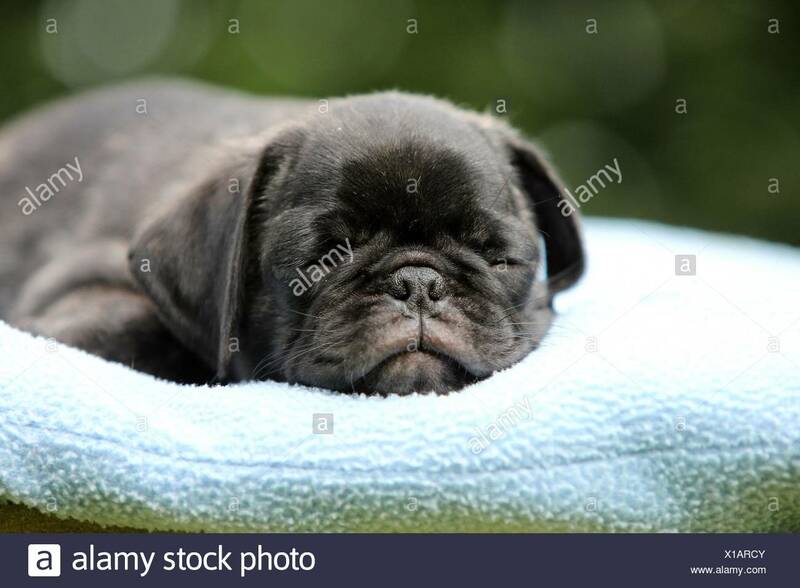 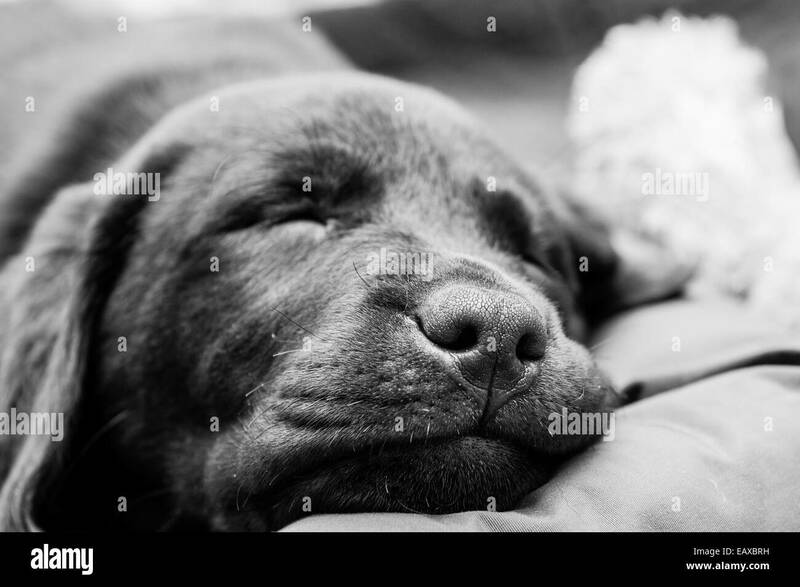 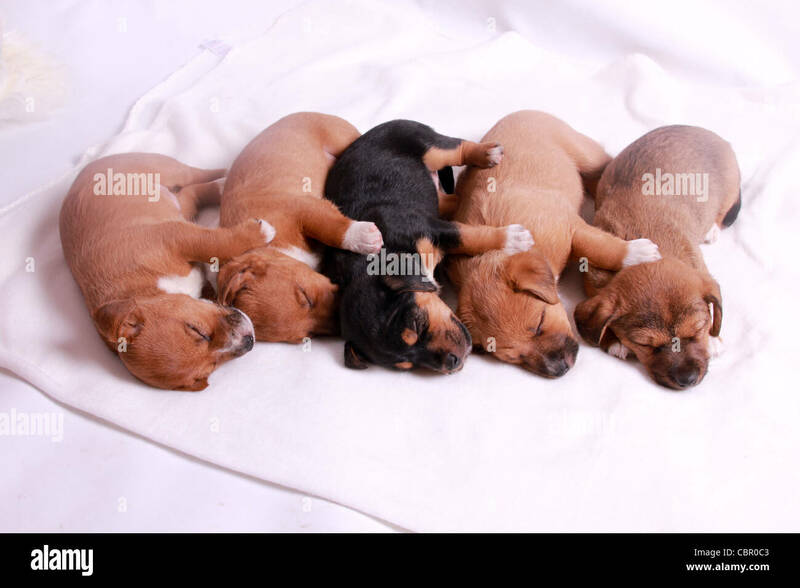 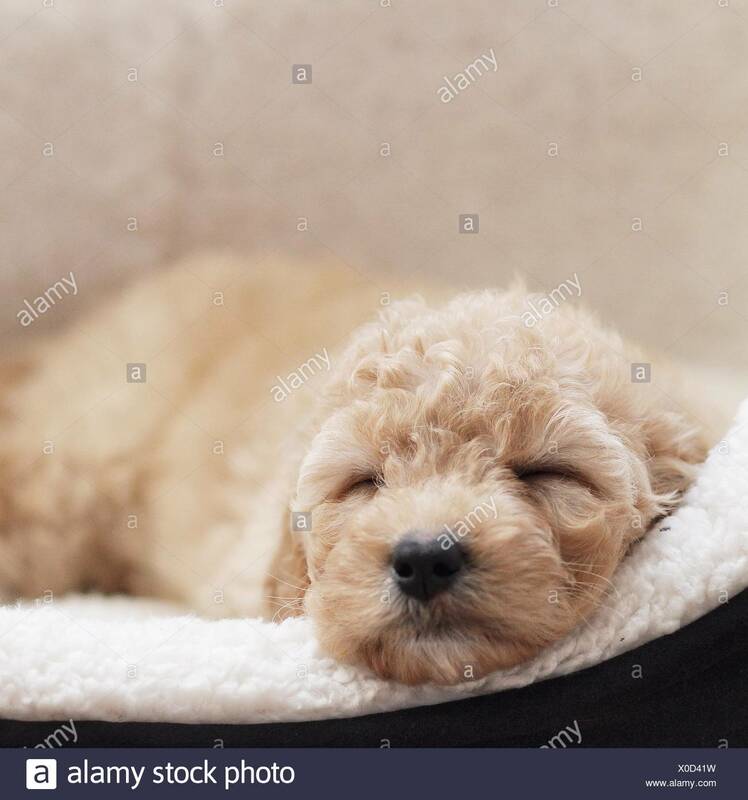 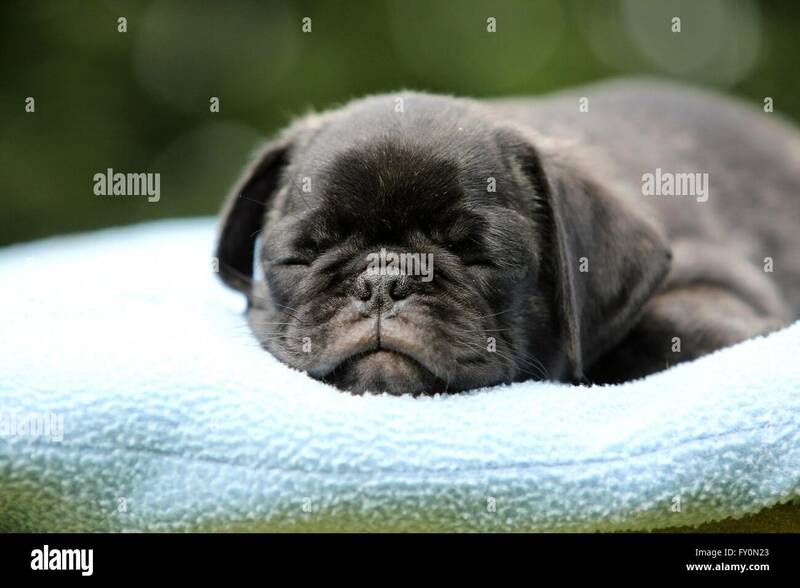 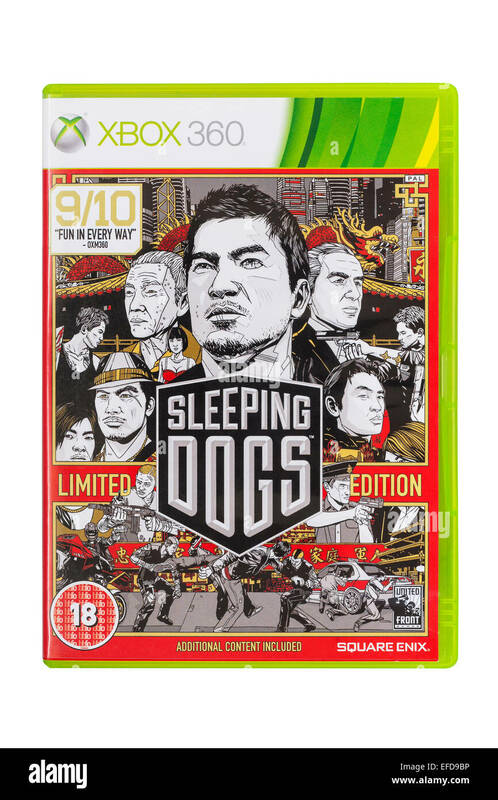 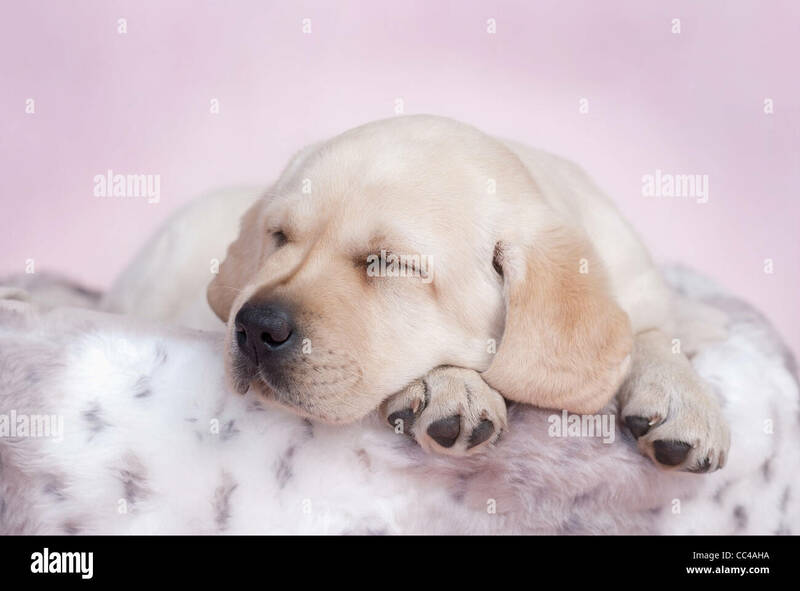 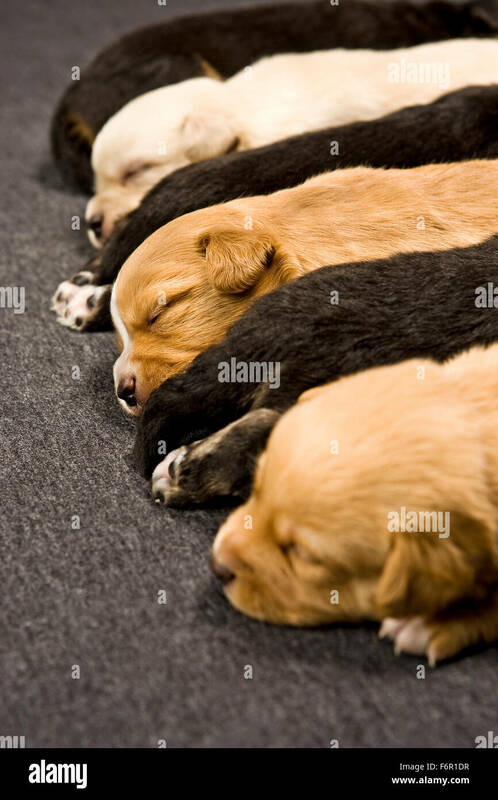 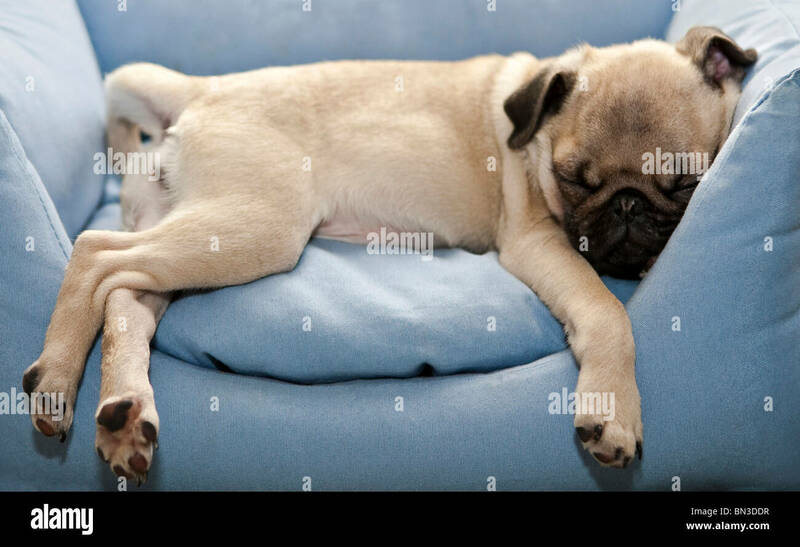 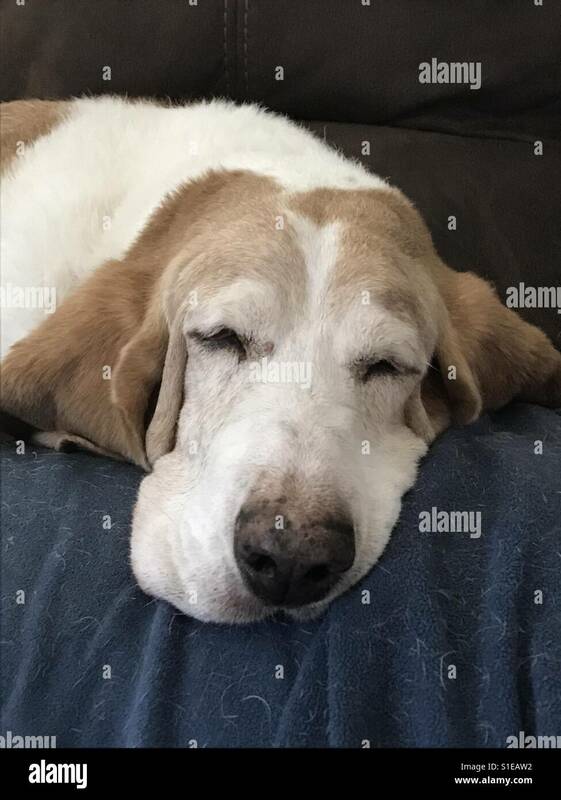 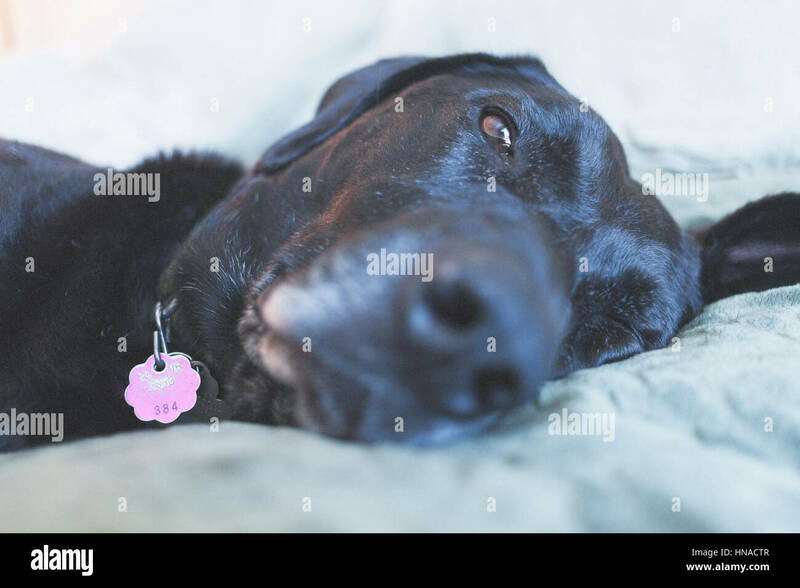 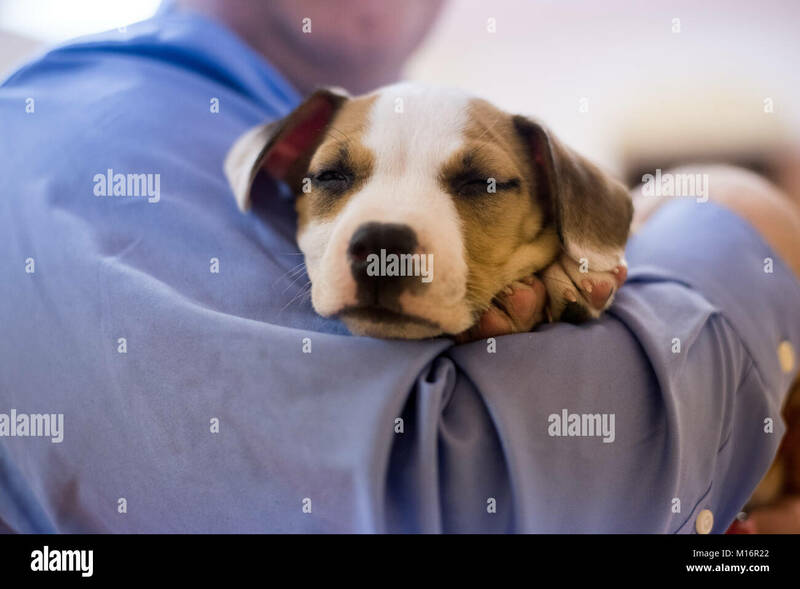 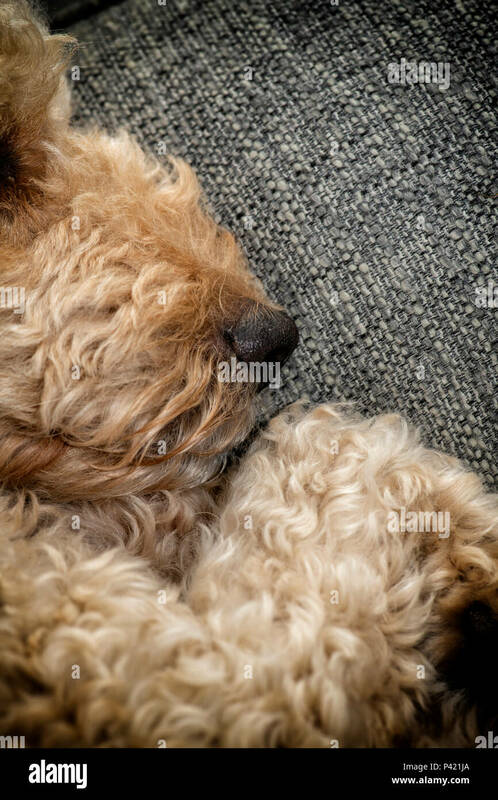 Let sleeping dogs lie. 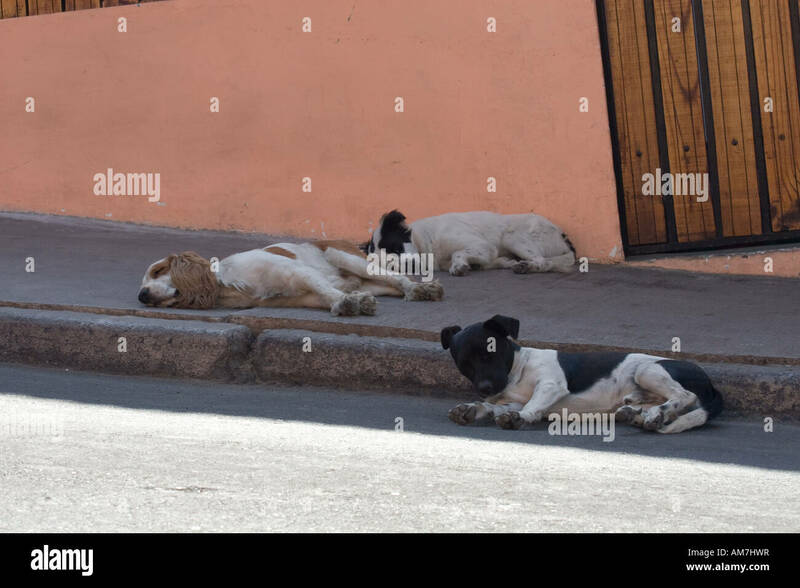 Let Sleeping Dogs Lie. 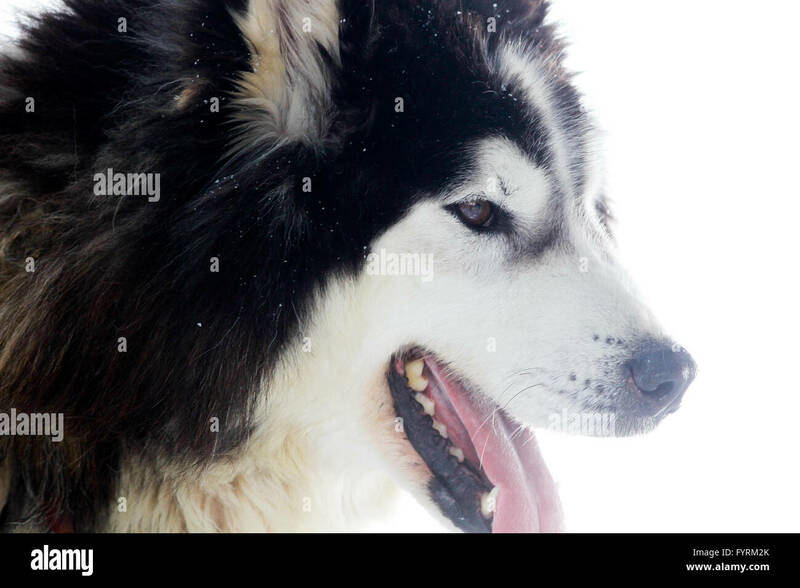 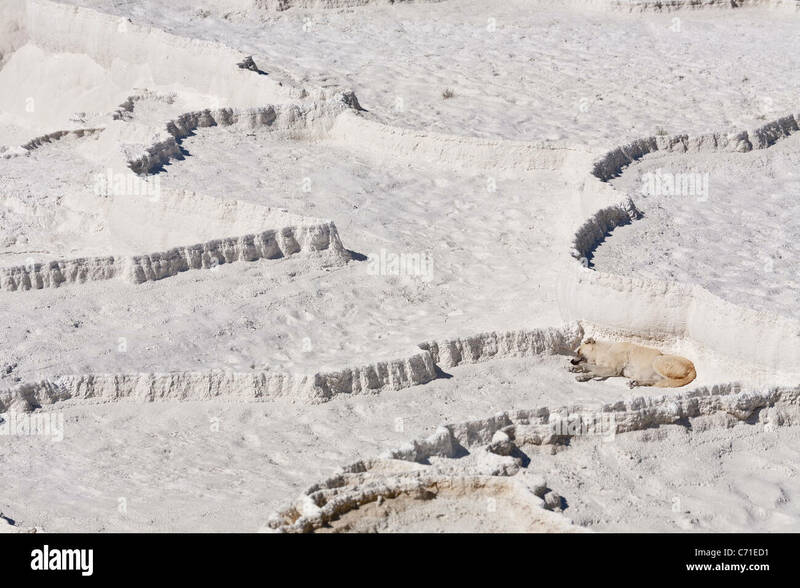 White on White: a white dog sleeps in the dry calcite deposits at Pamukkale. 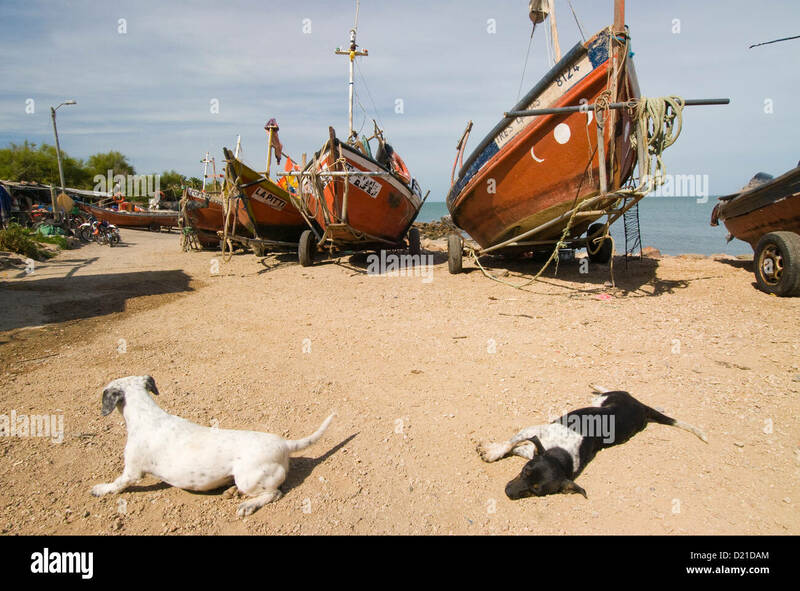 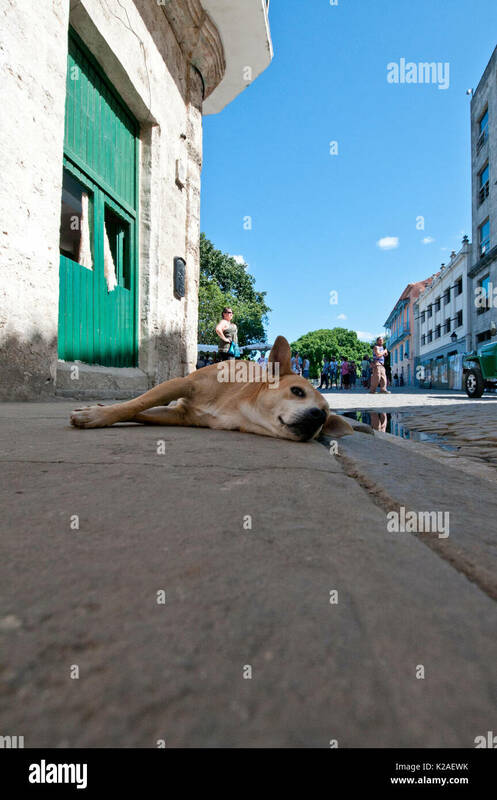 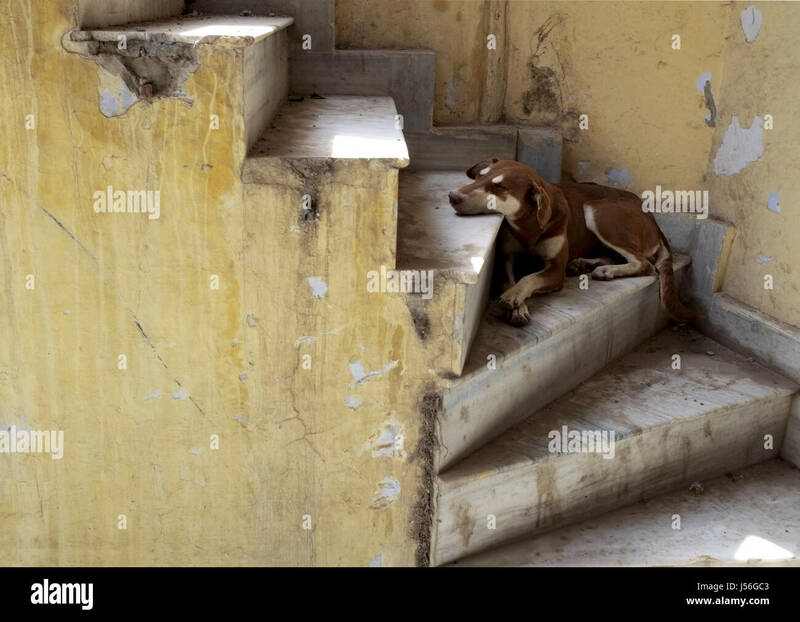 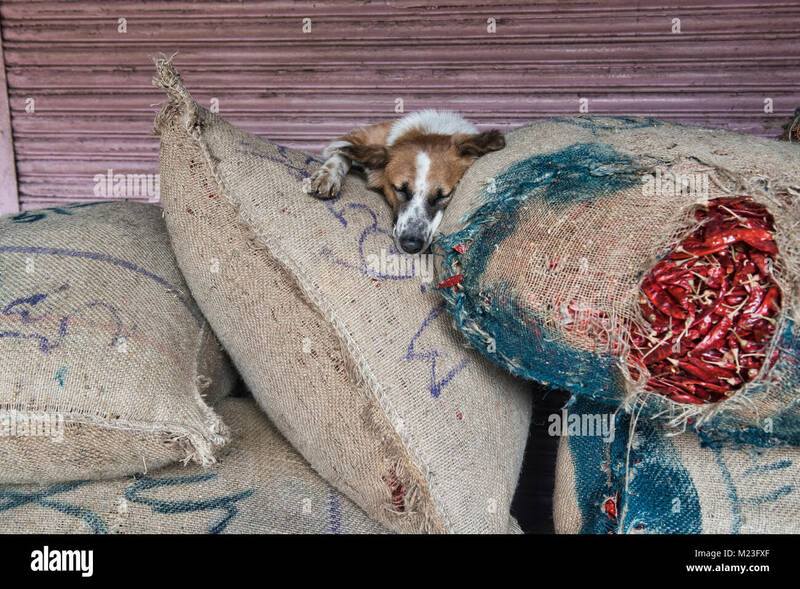 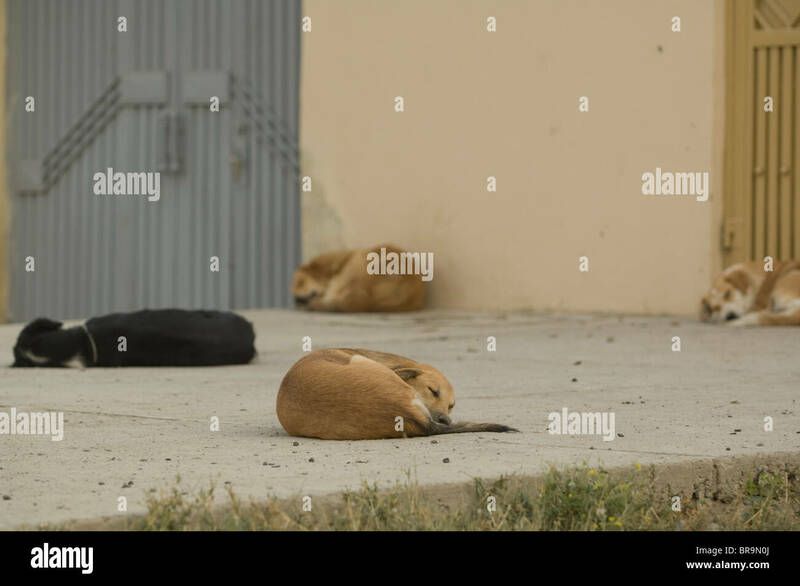 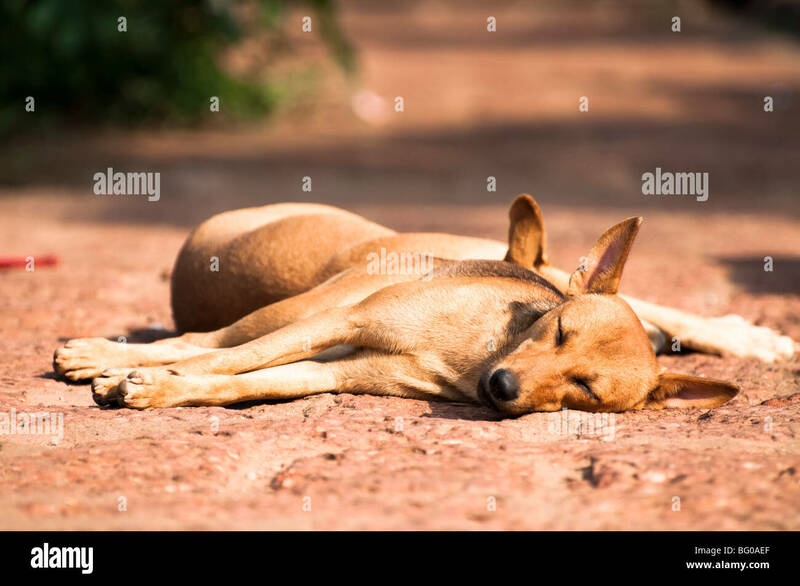 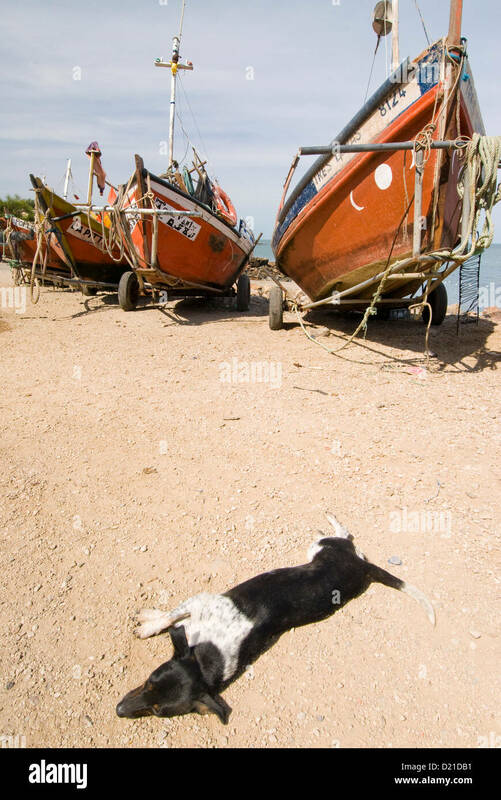 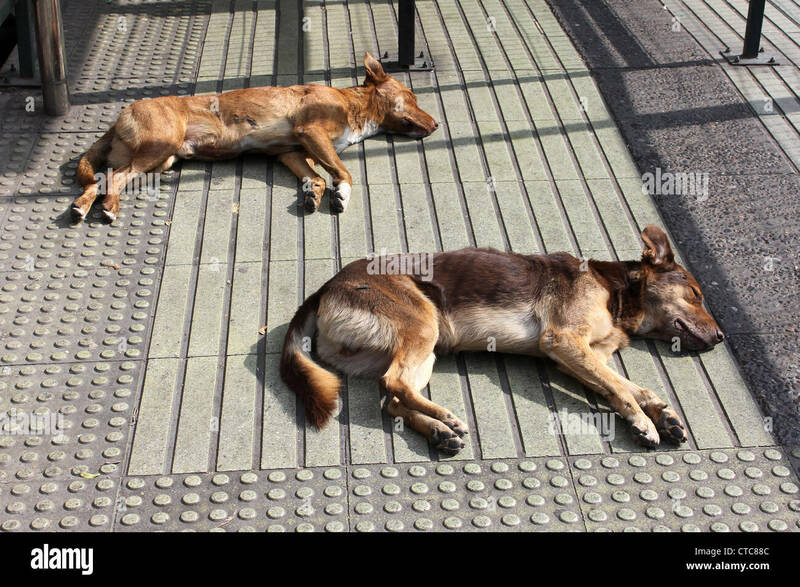 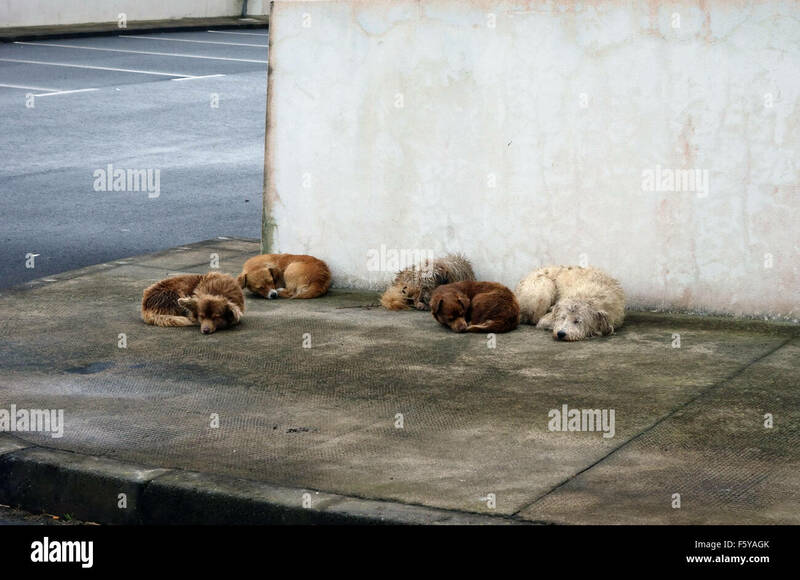 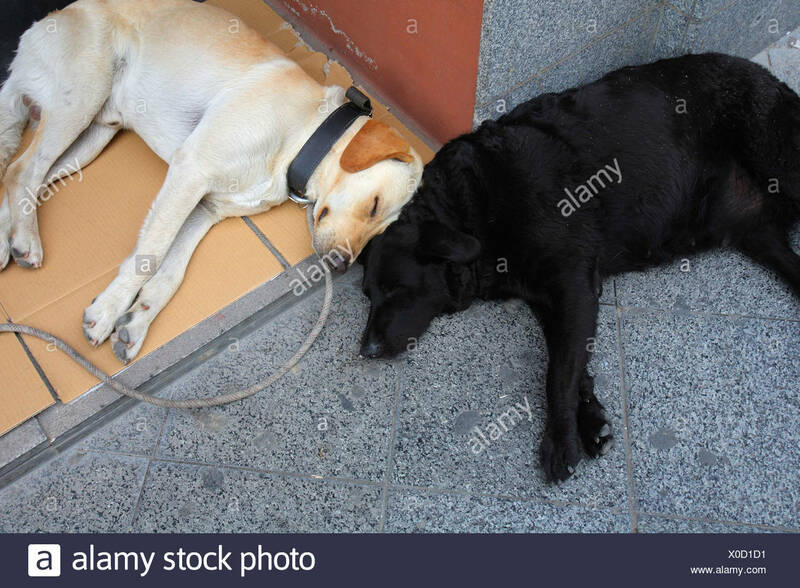 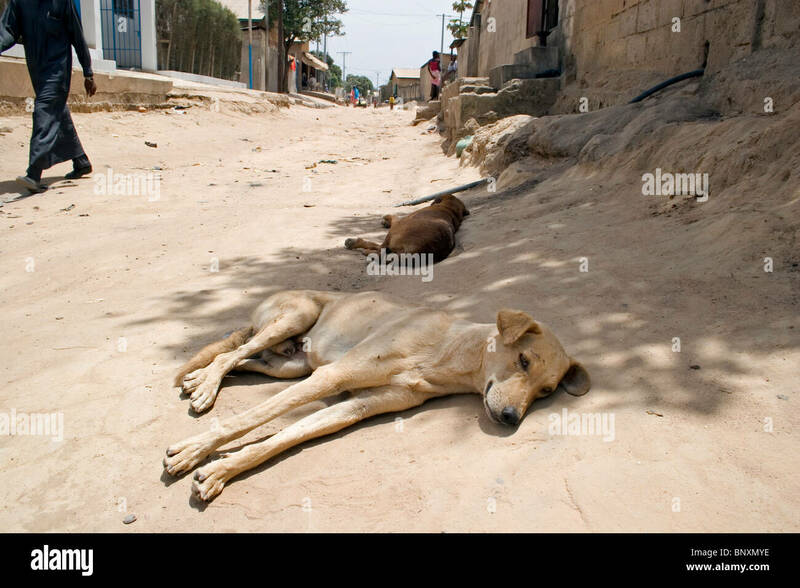 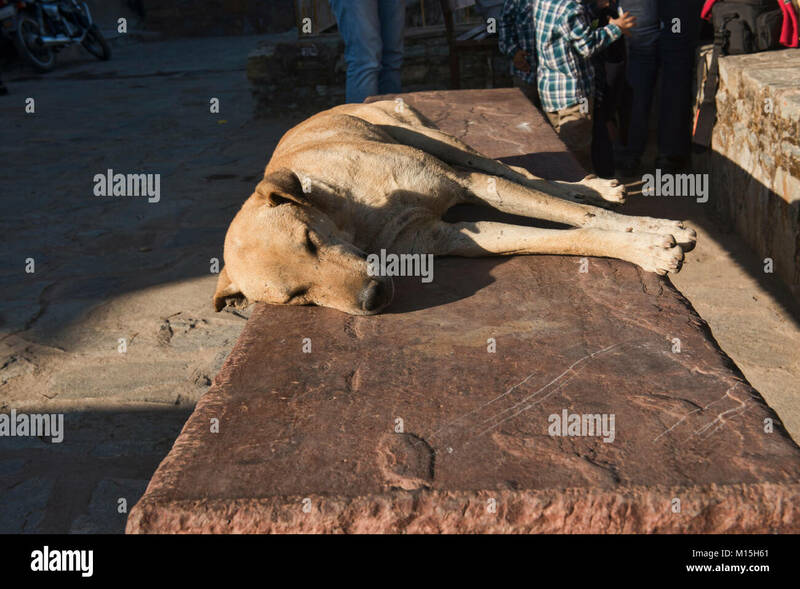 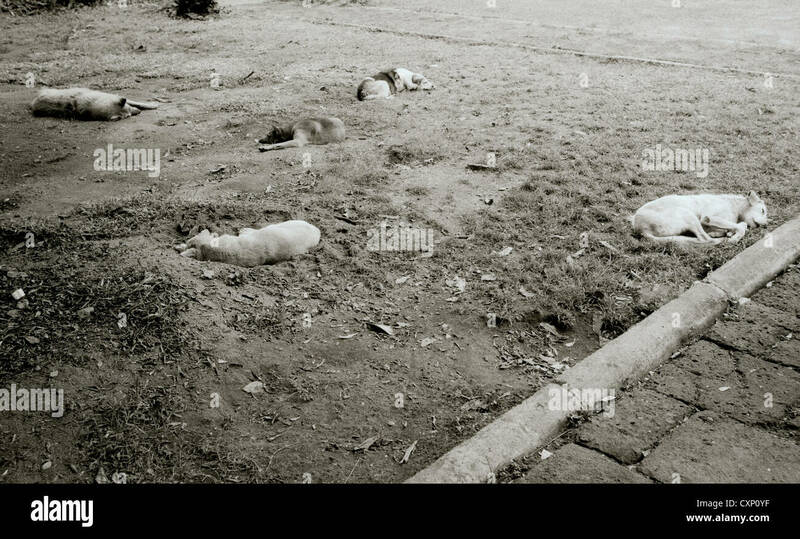 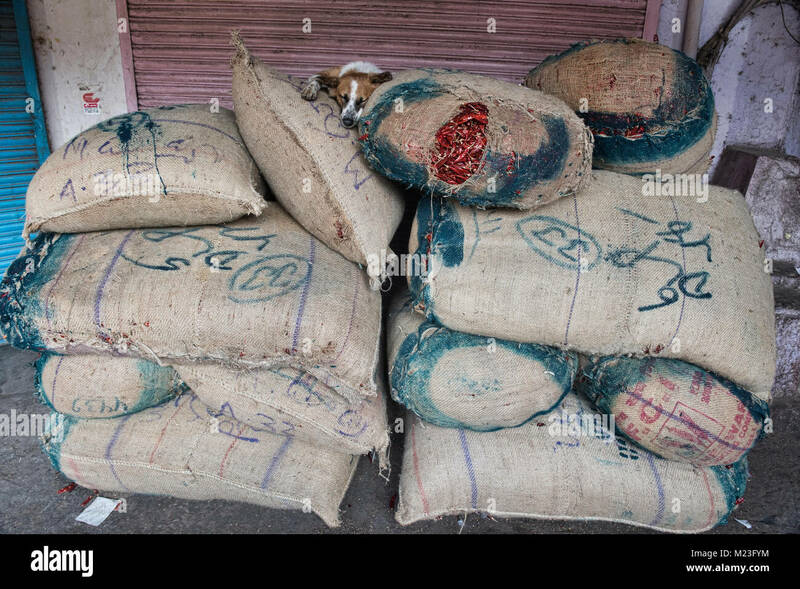 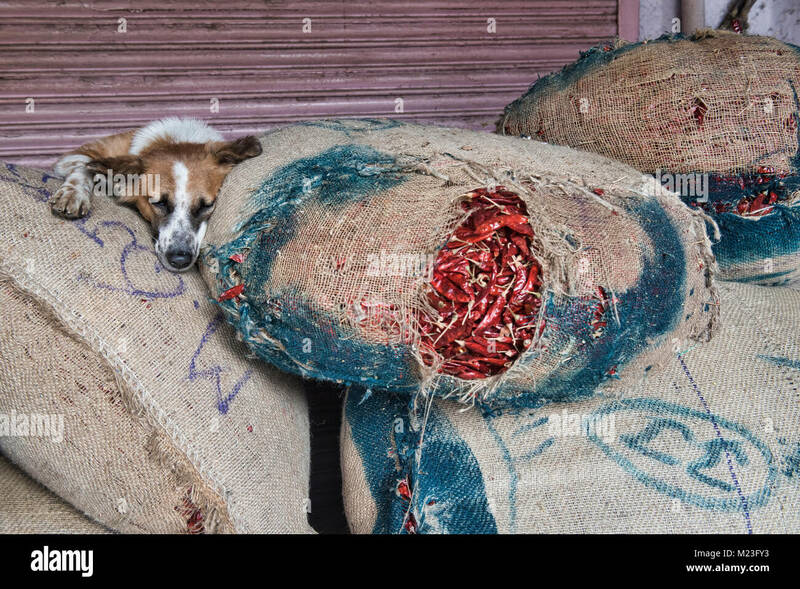 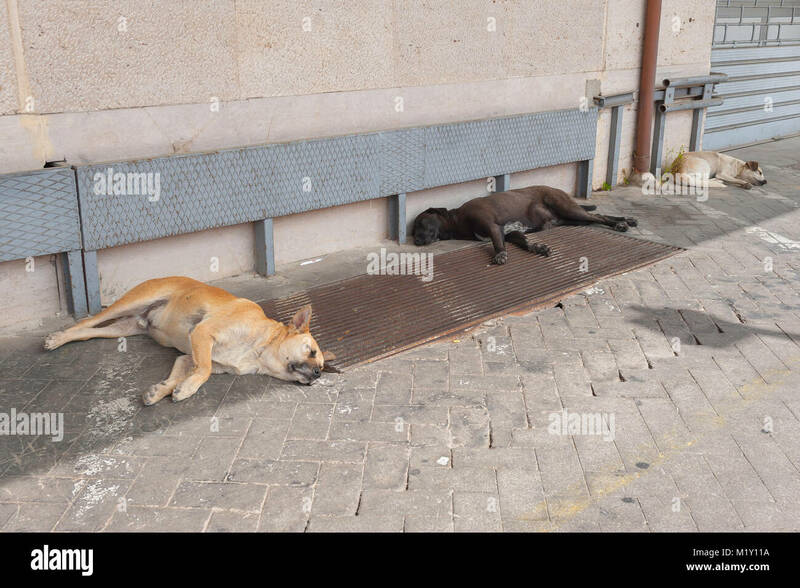 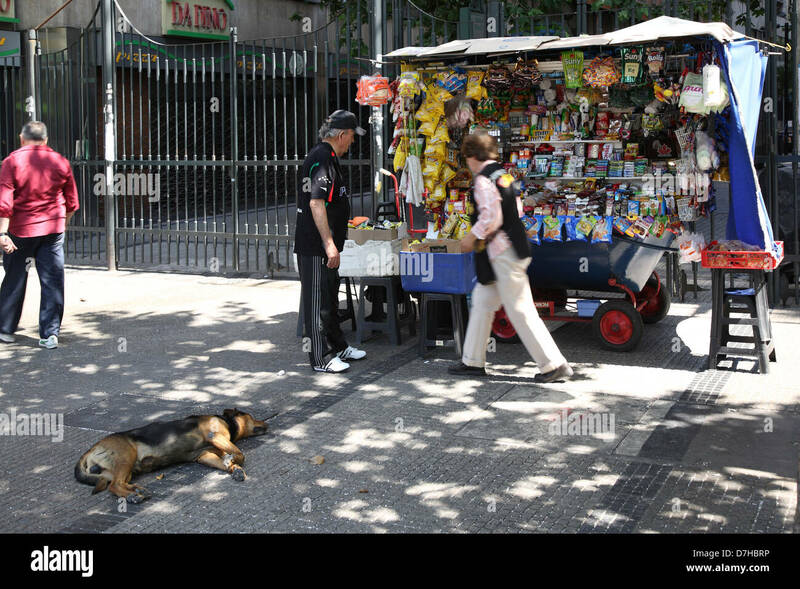 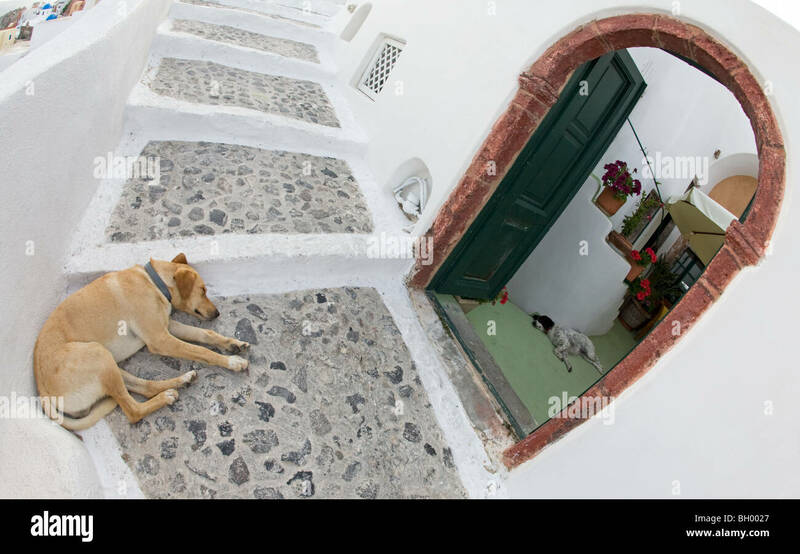 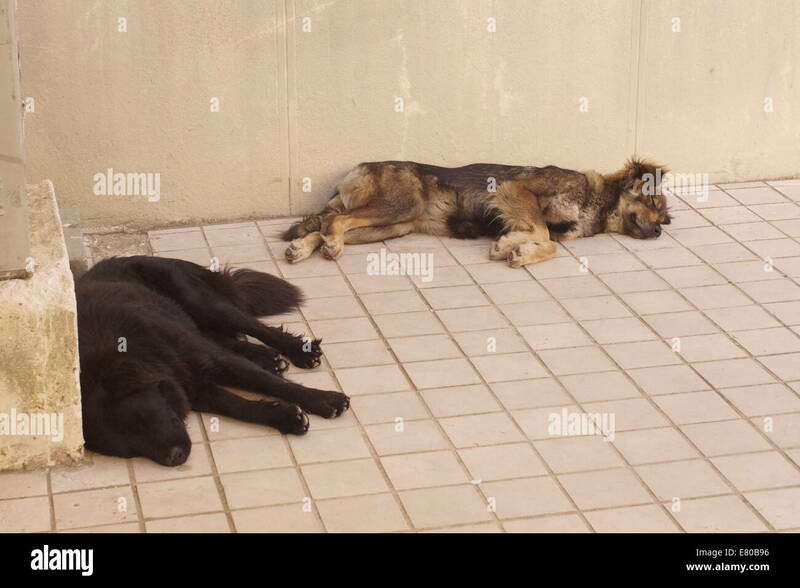 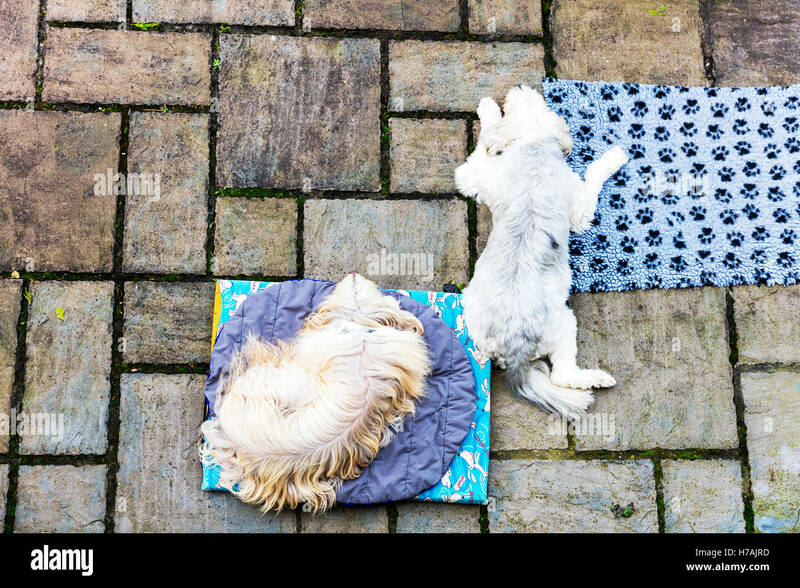 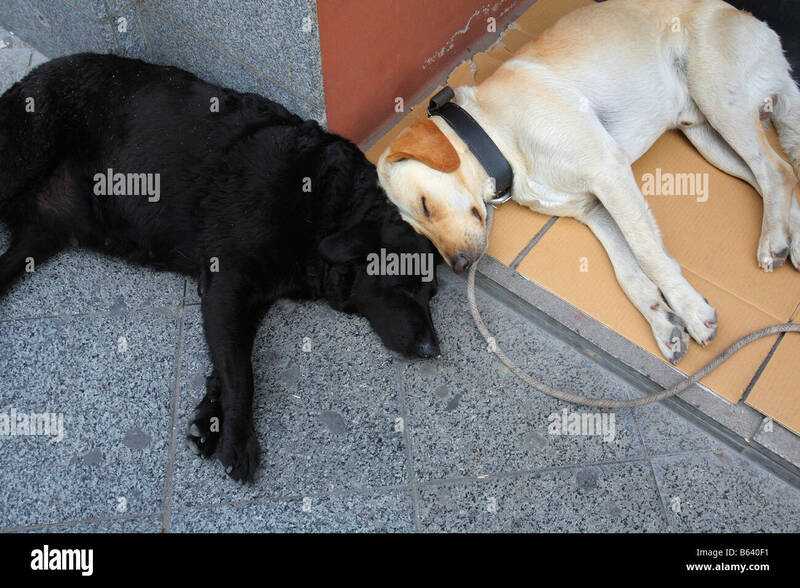 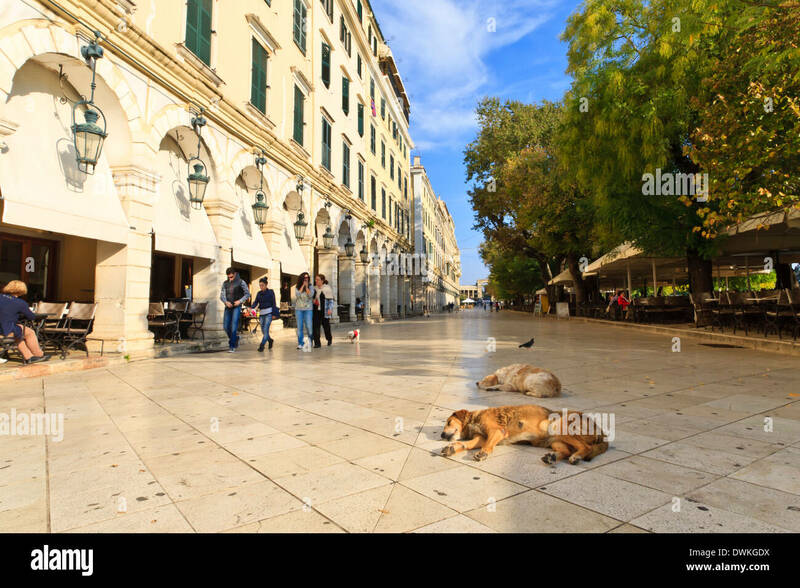 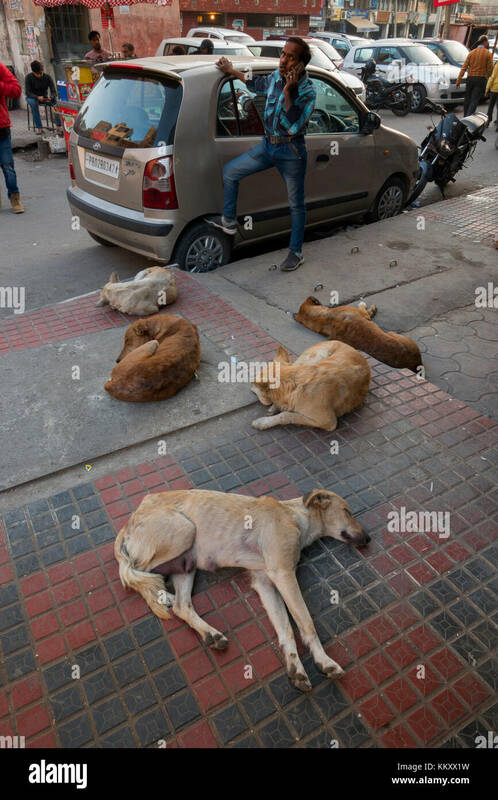 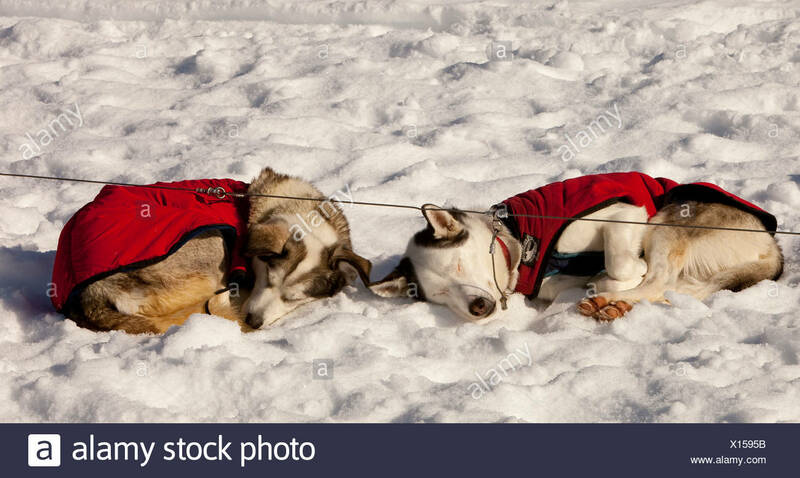 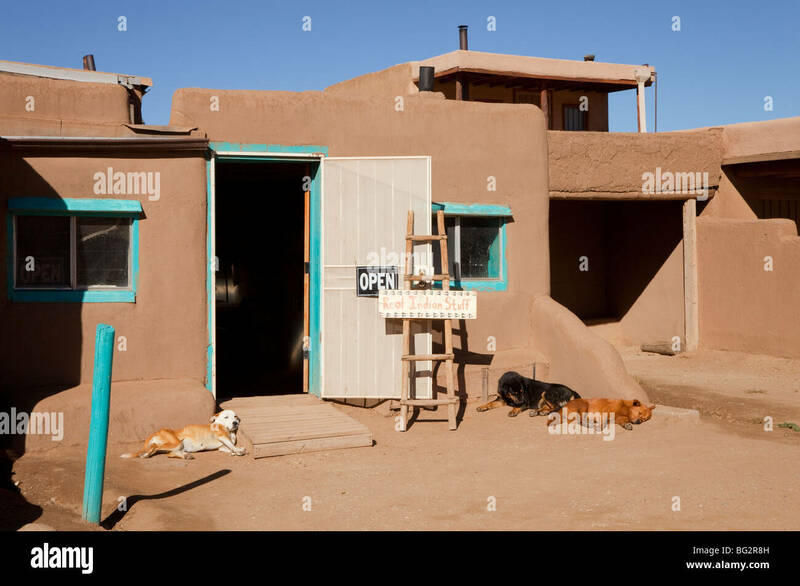 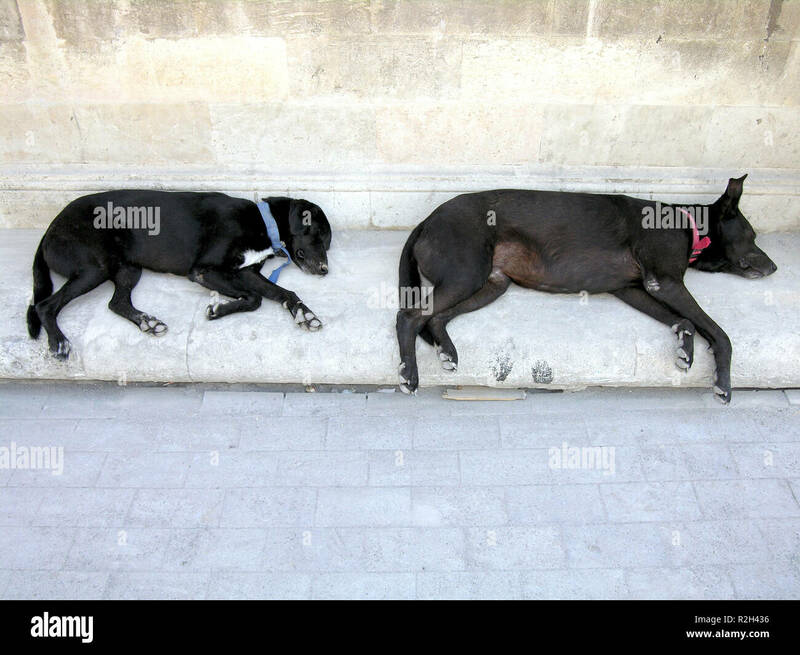 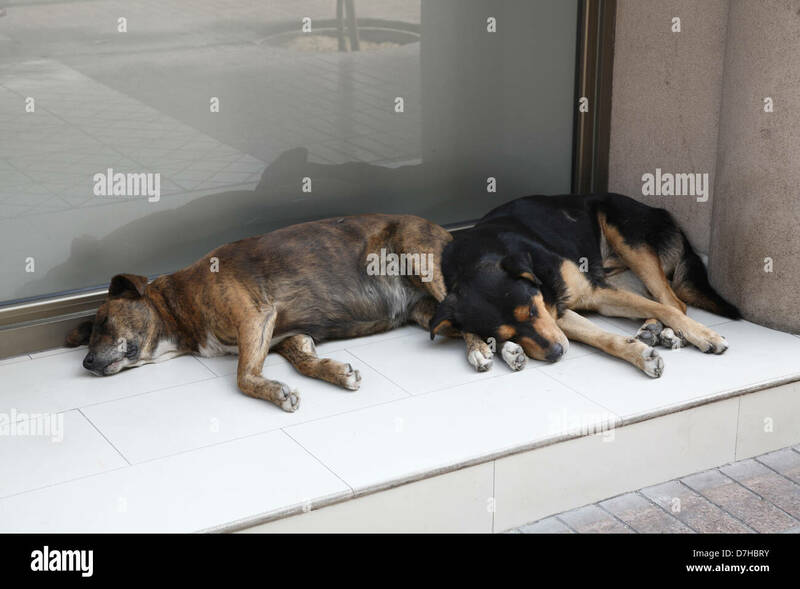 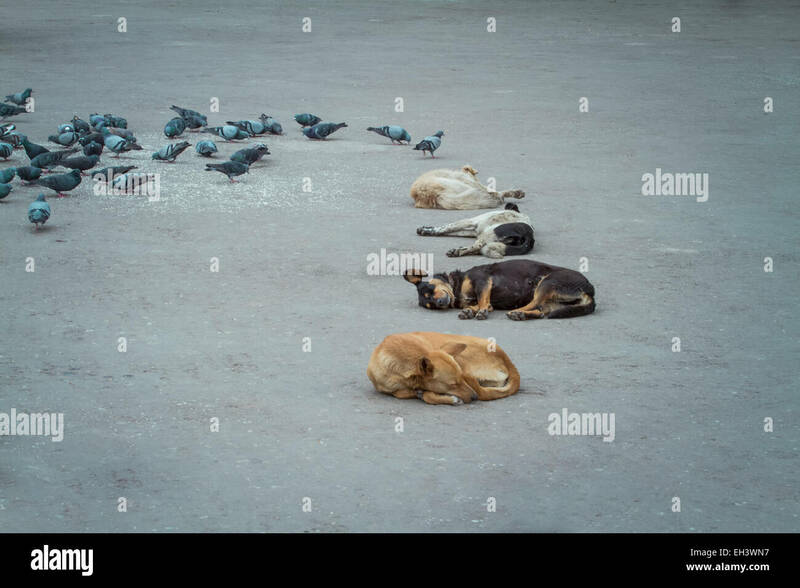 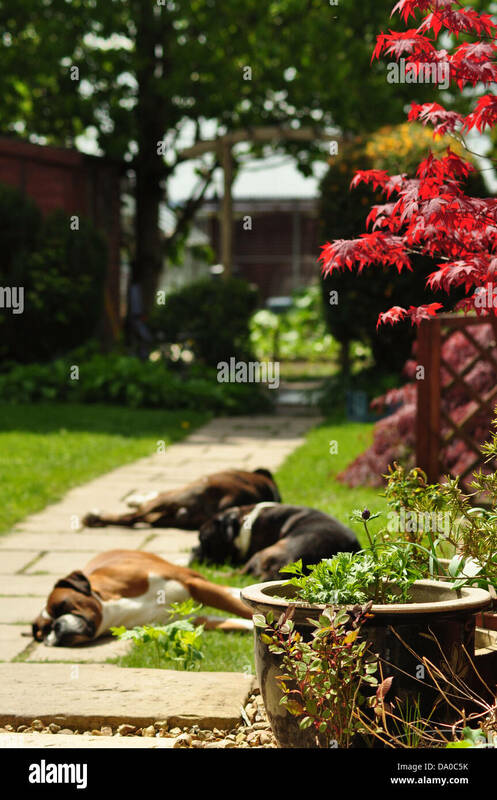 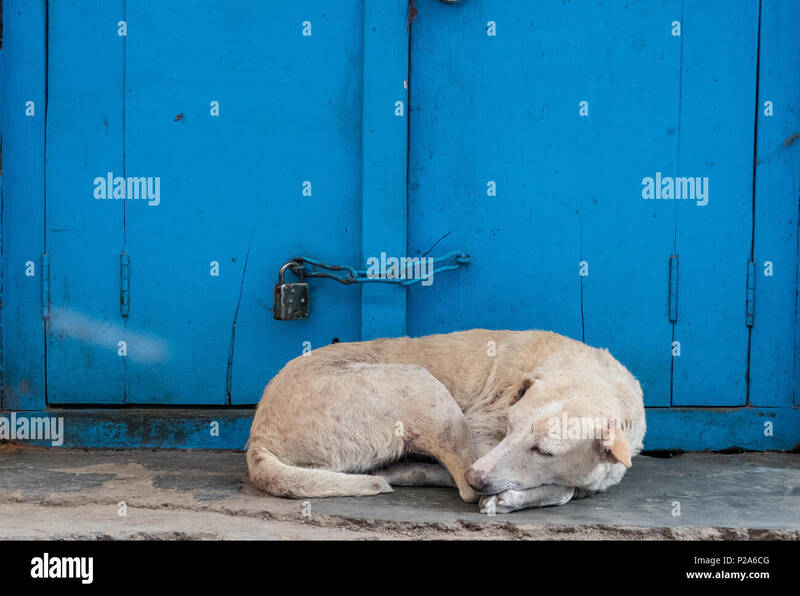 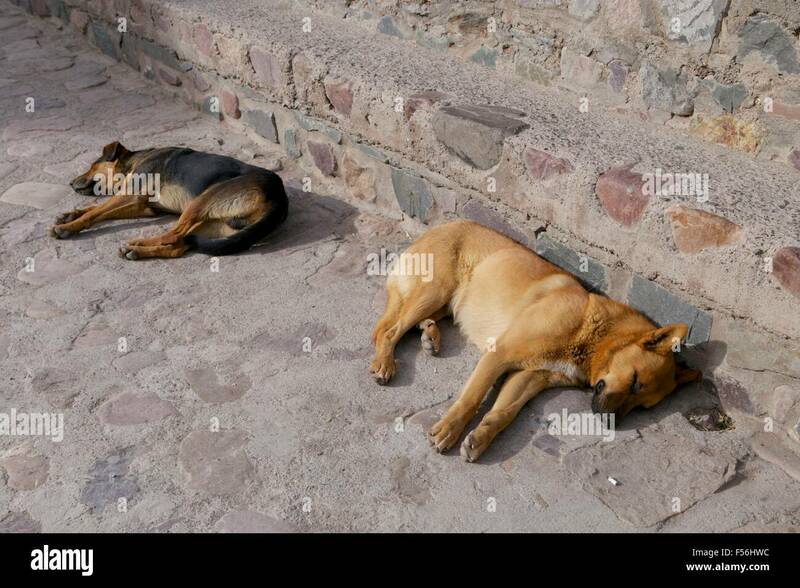 Two dogs lying on the street sleeping in the sun (Argentinian village). 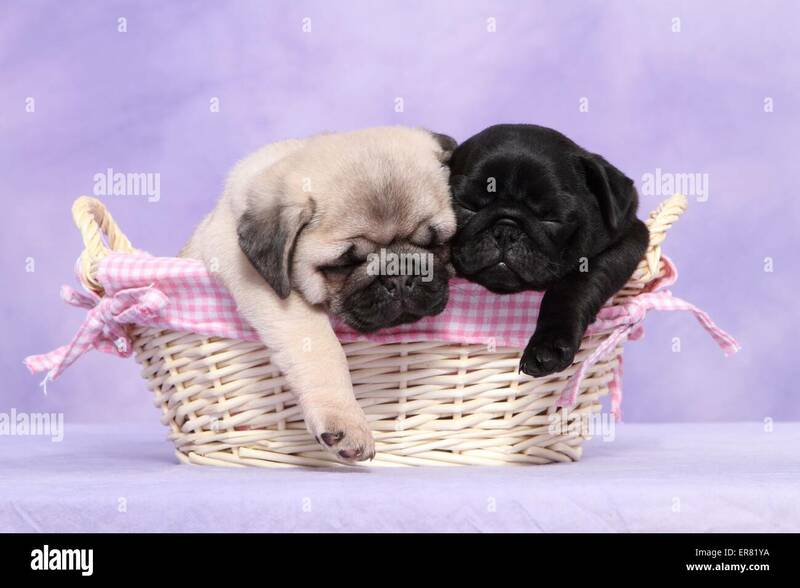 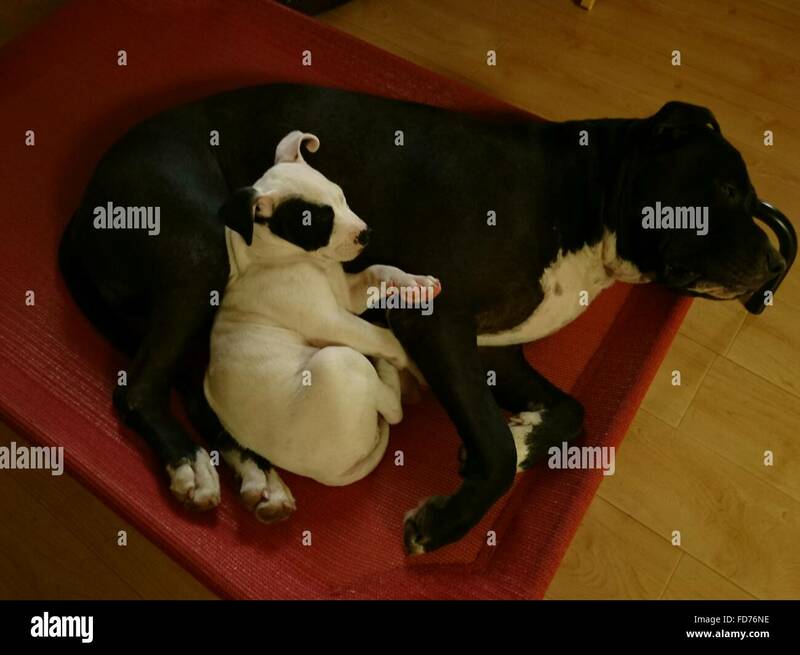 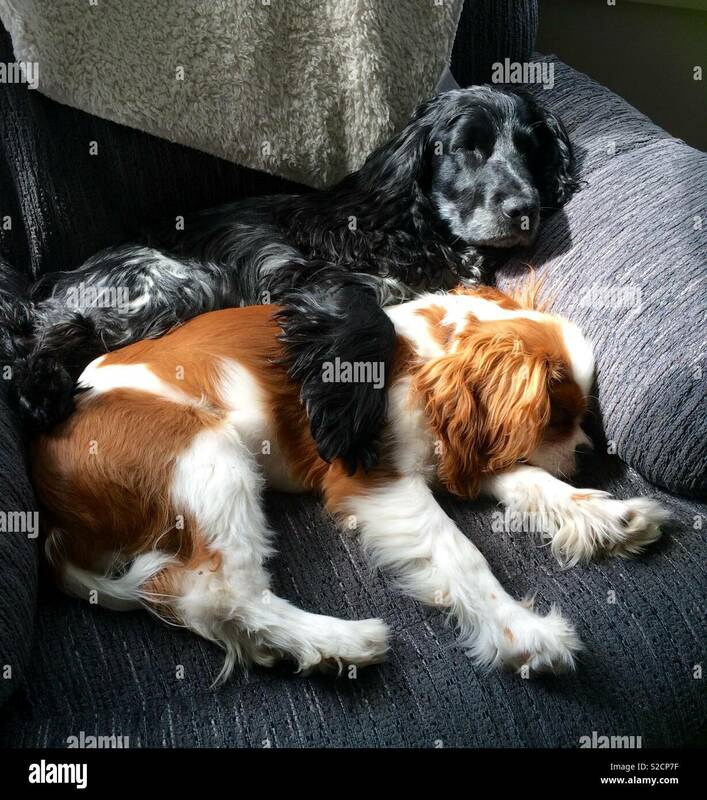 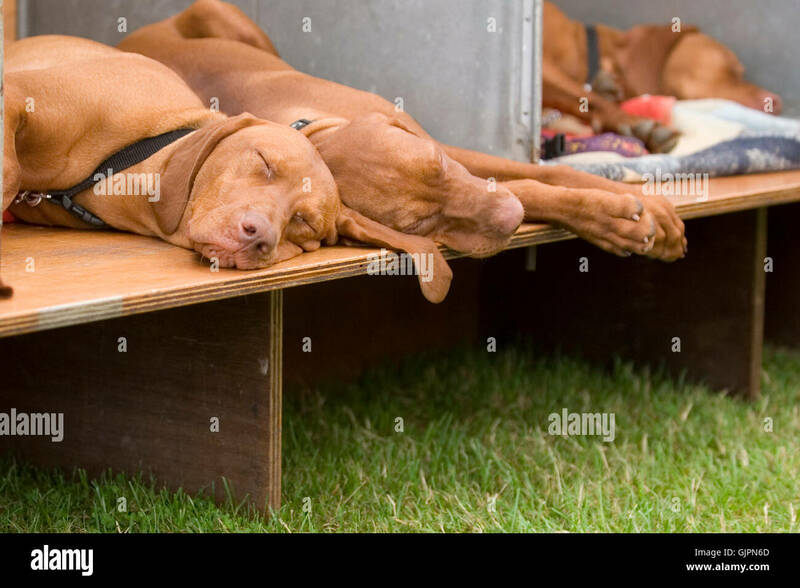 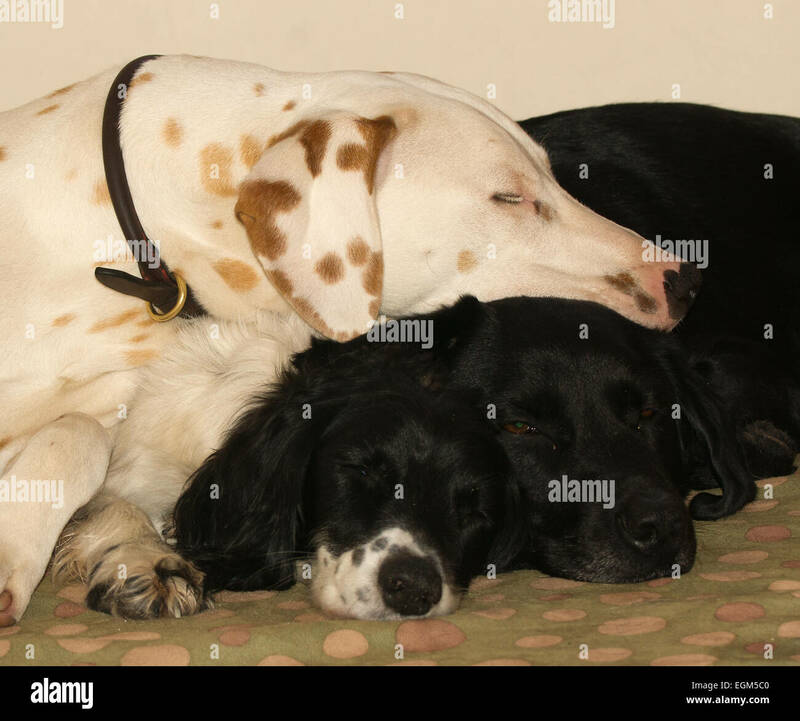 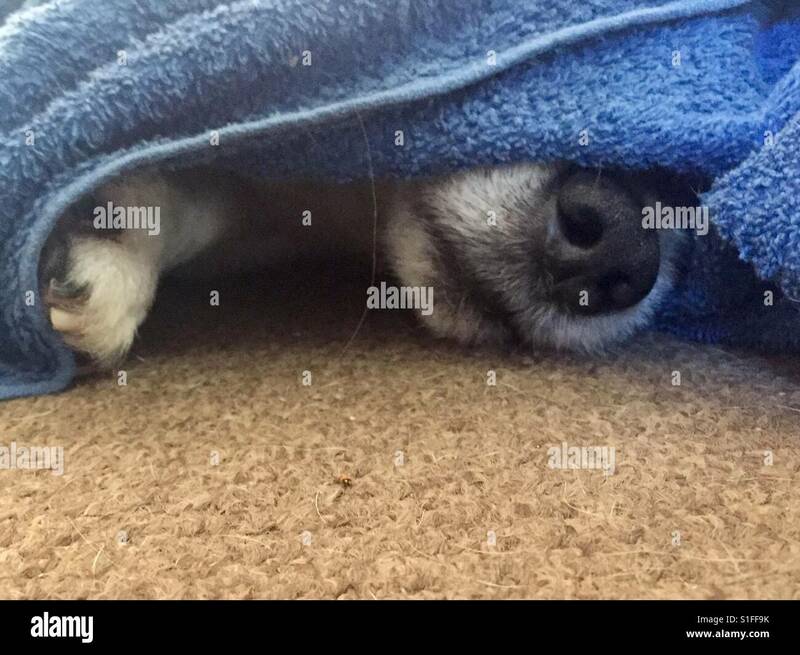 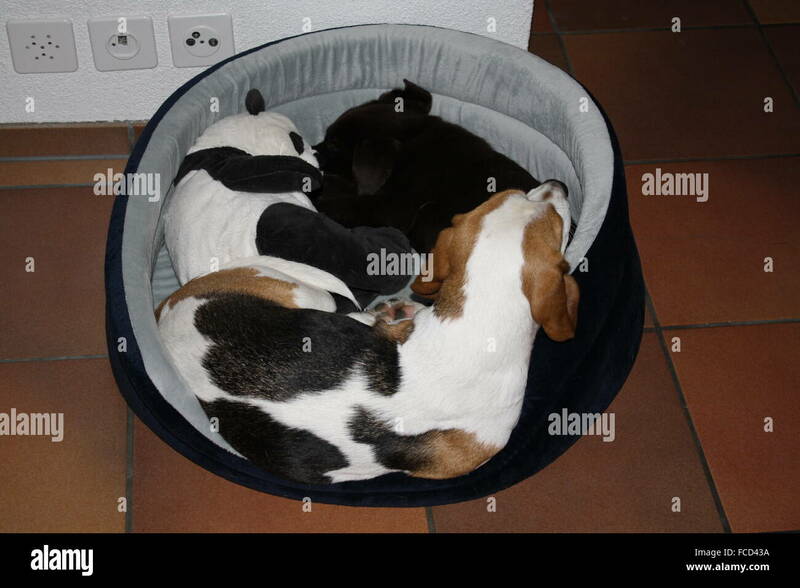 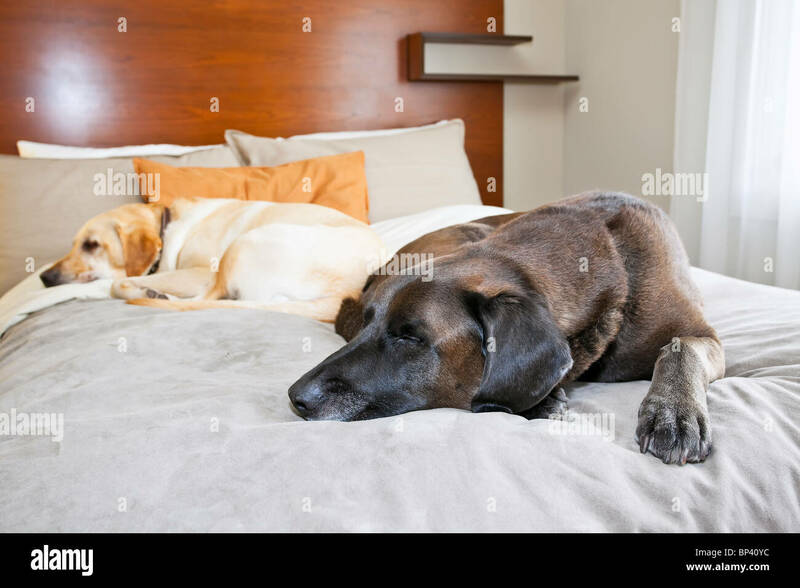 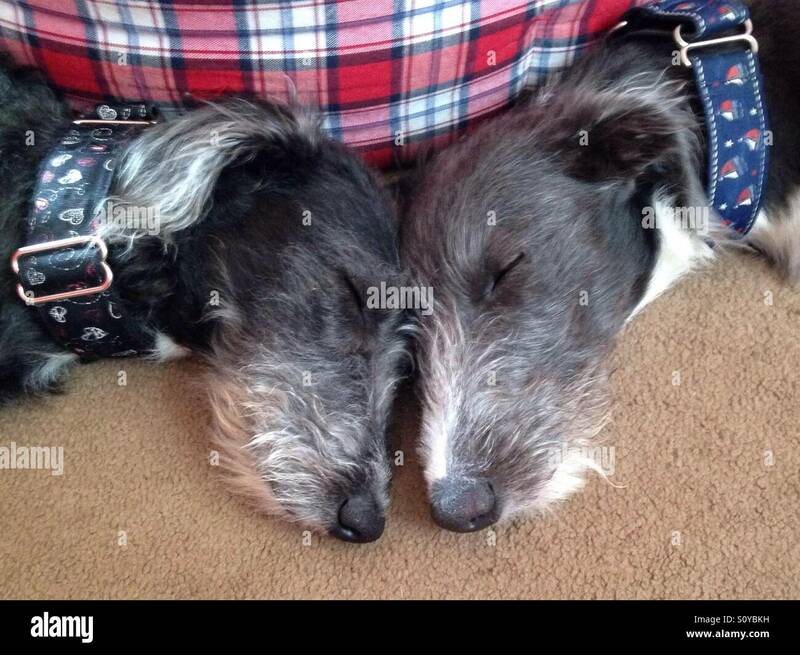 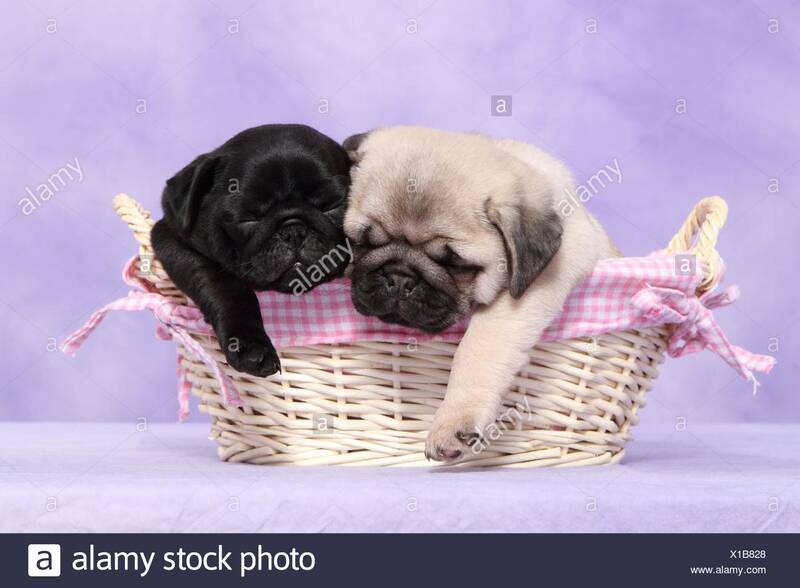 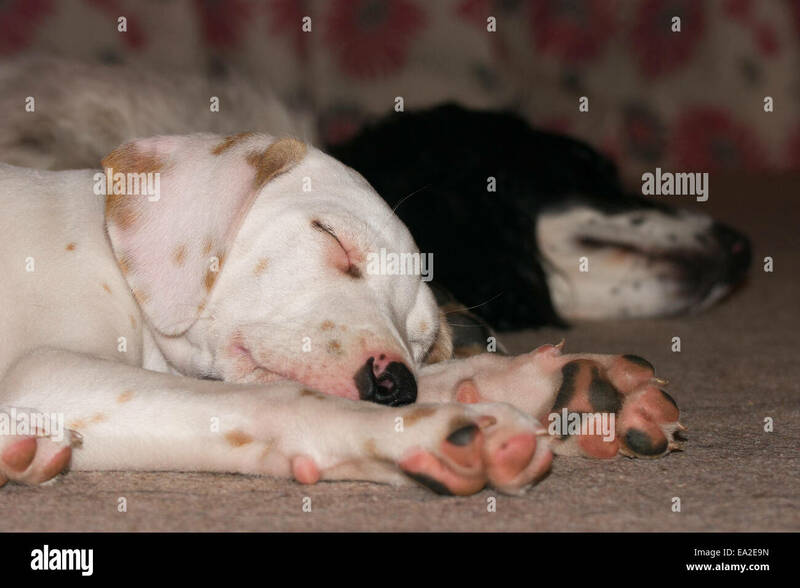 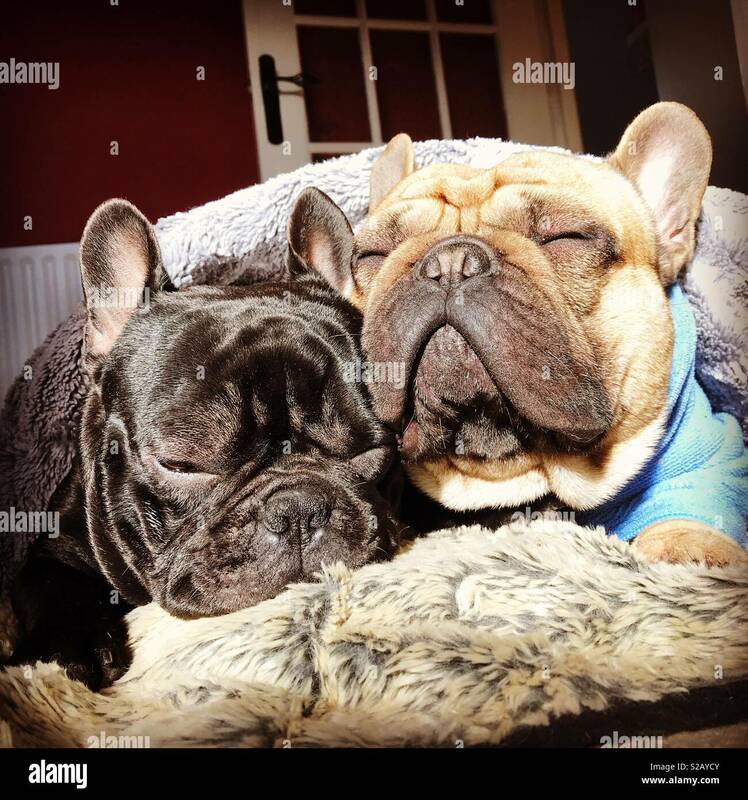 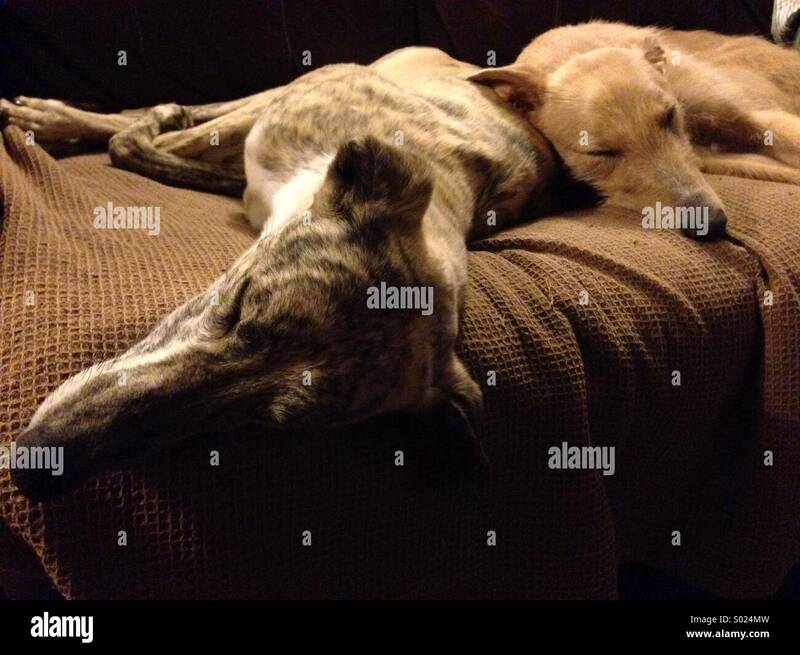 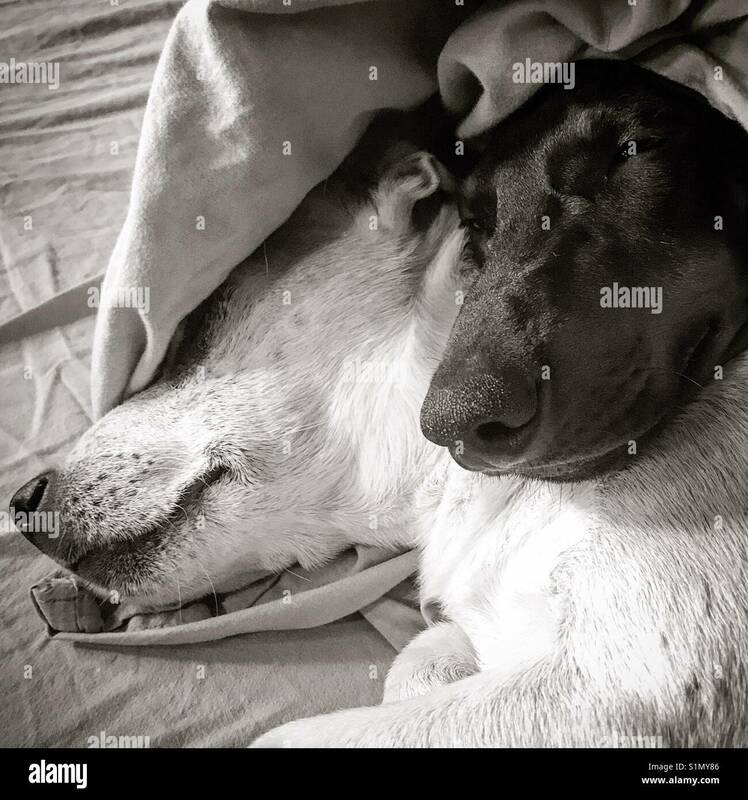 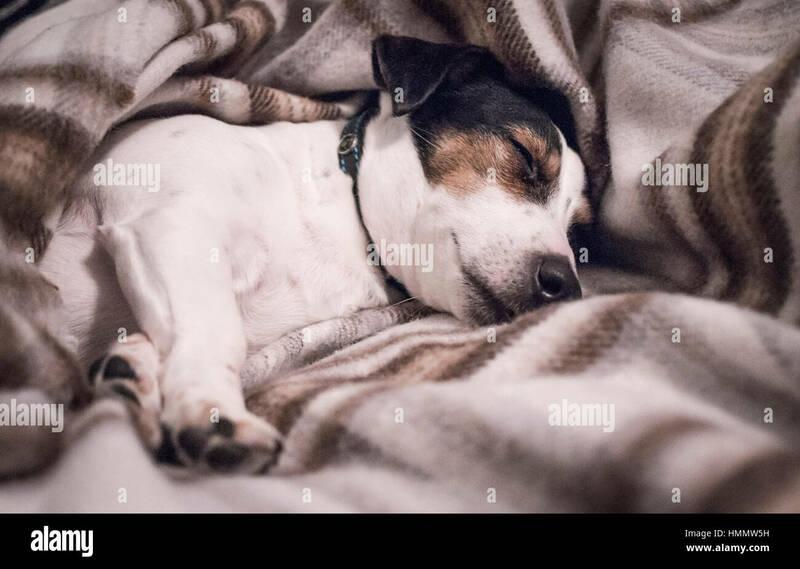 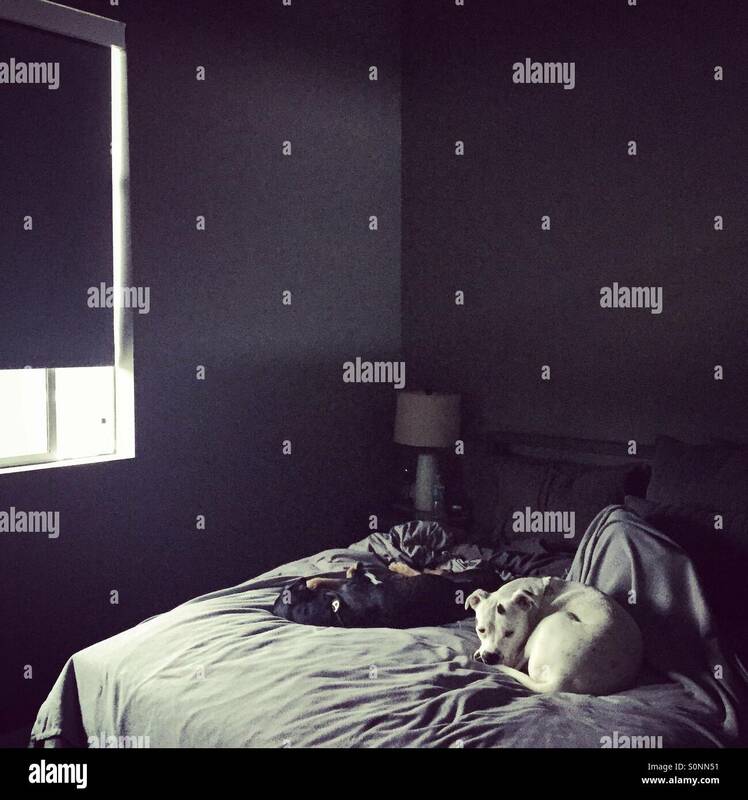 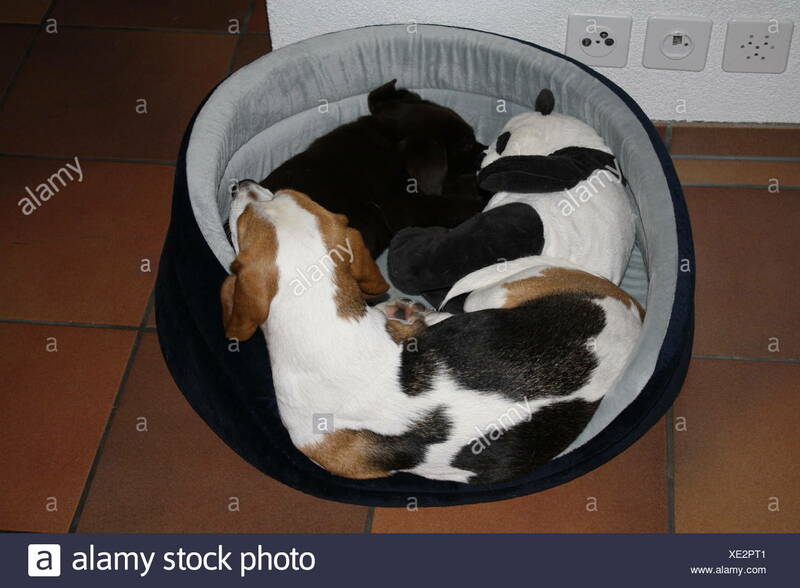 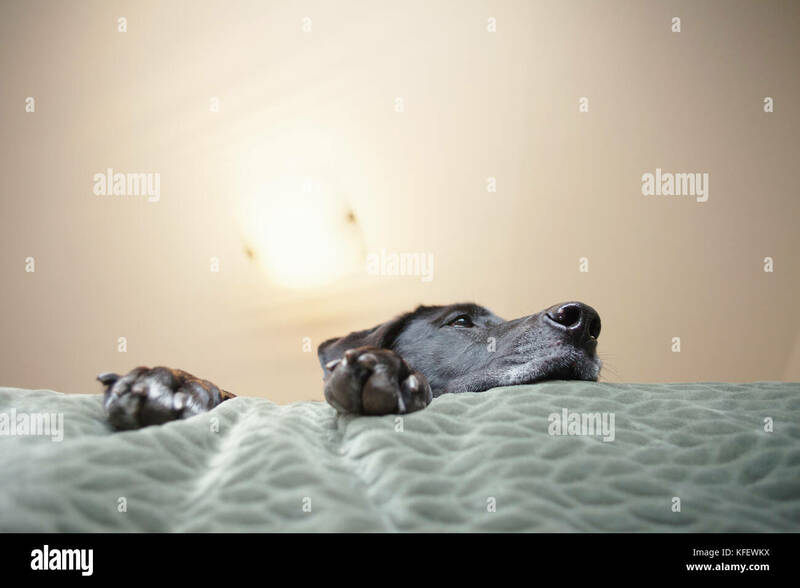 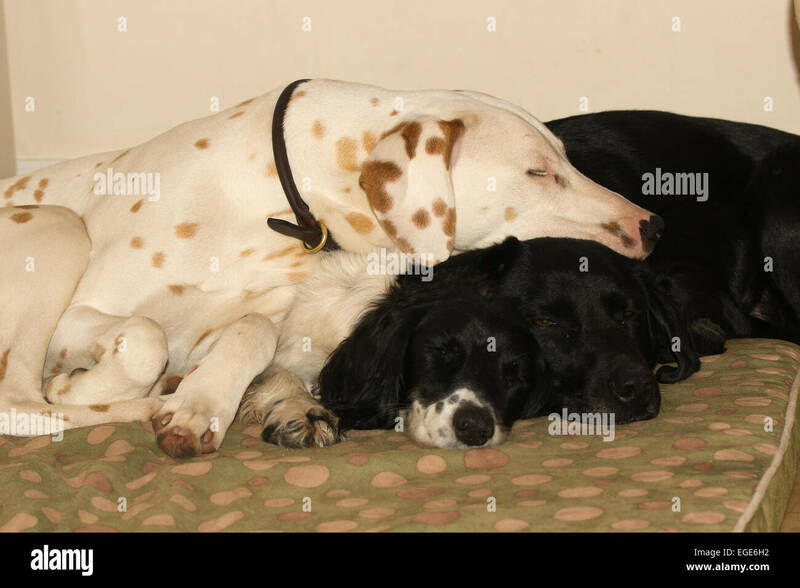 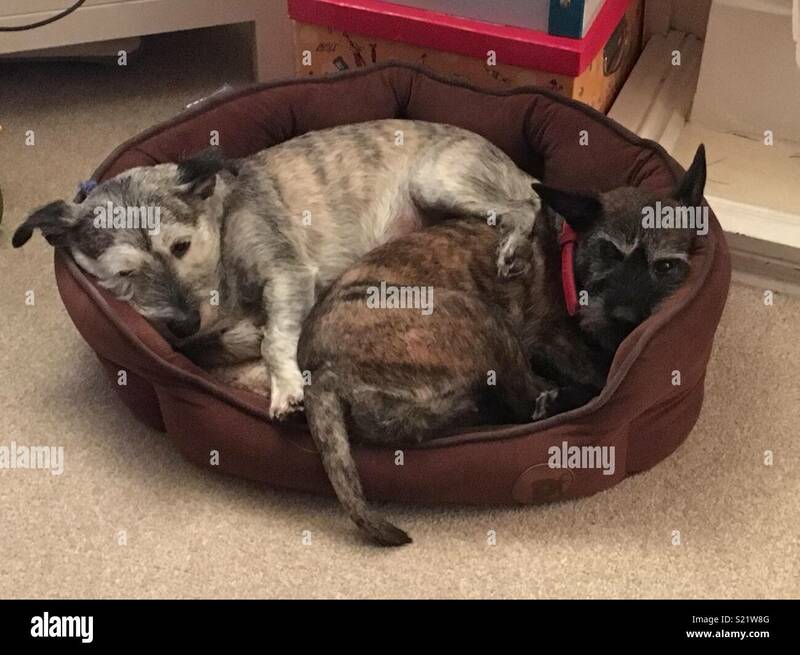 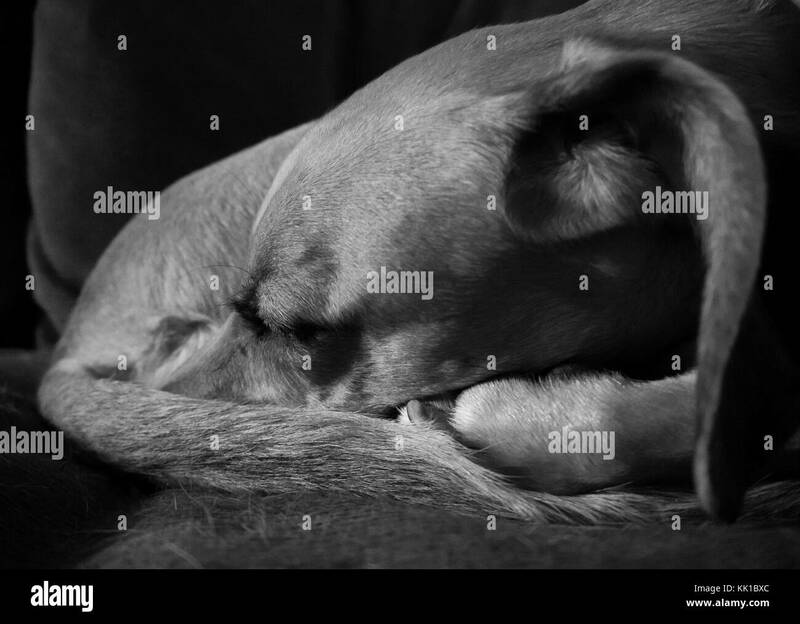 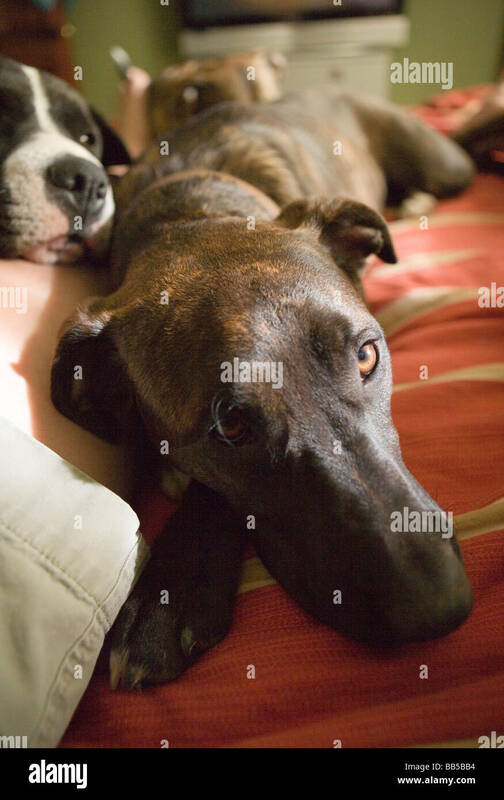 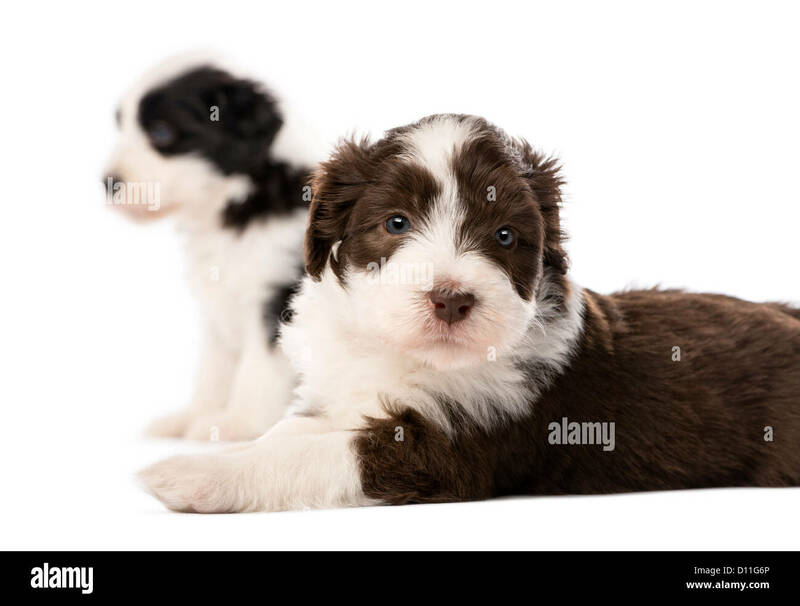 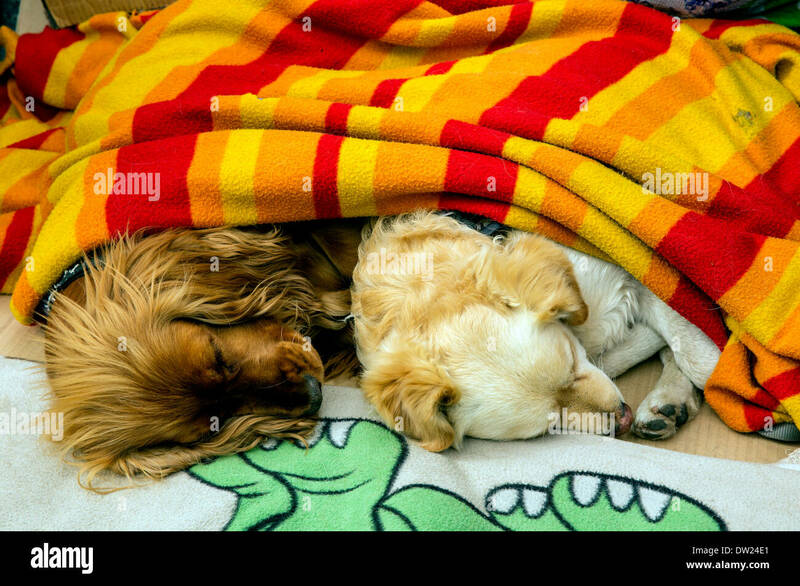 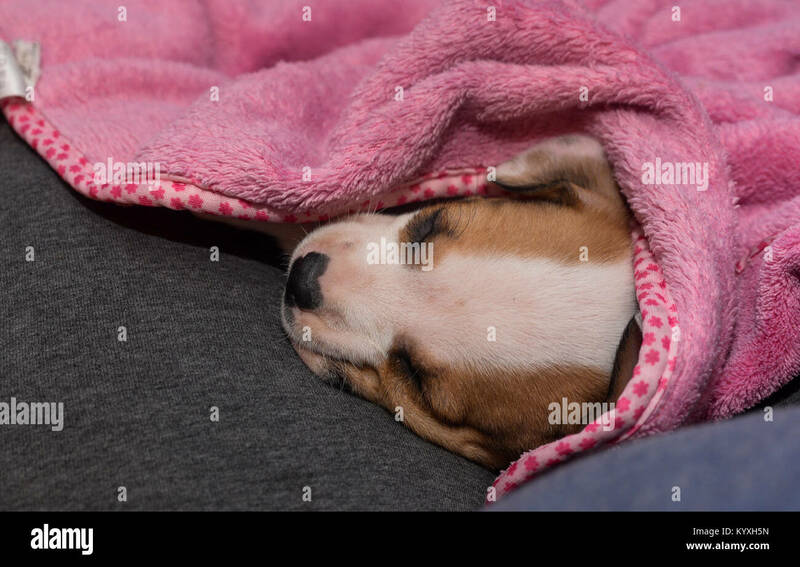 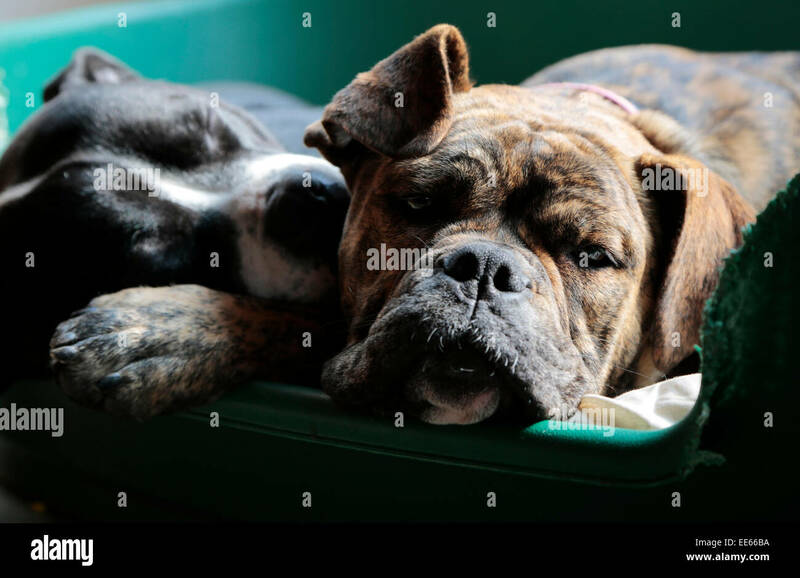 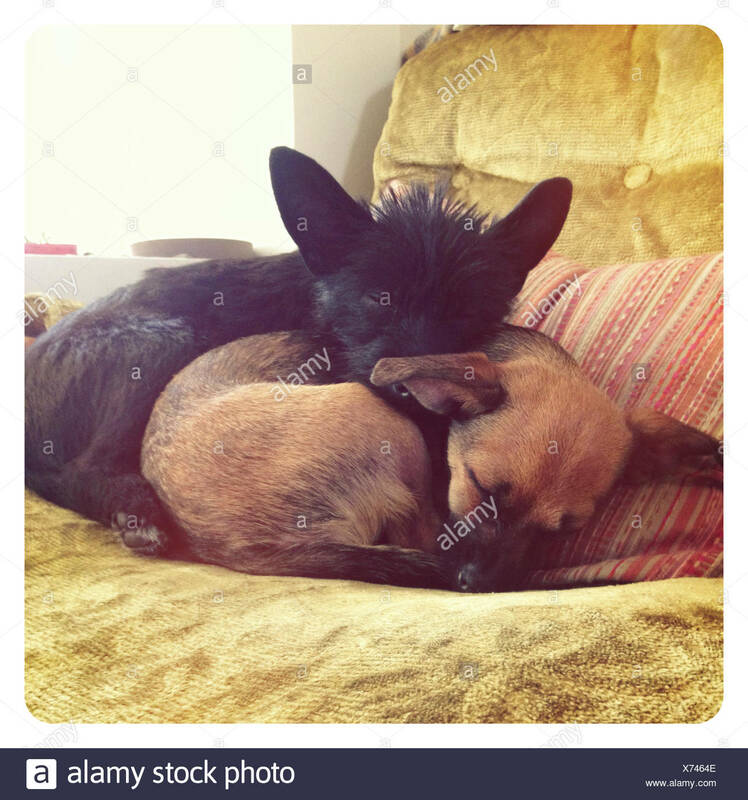 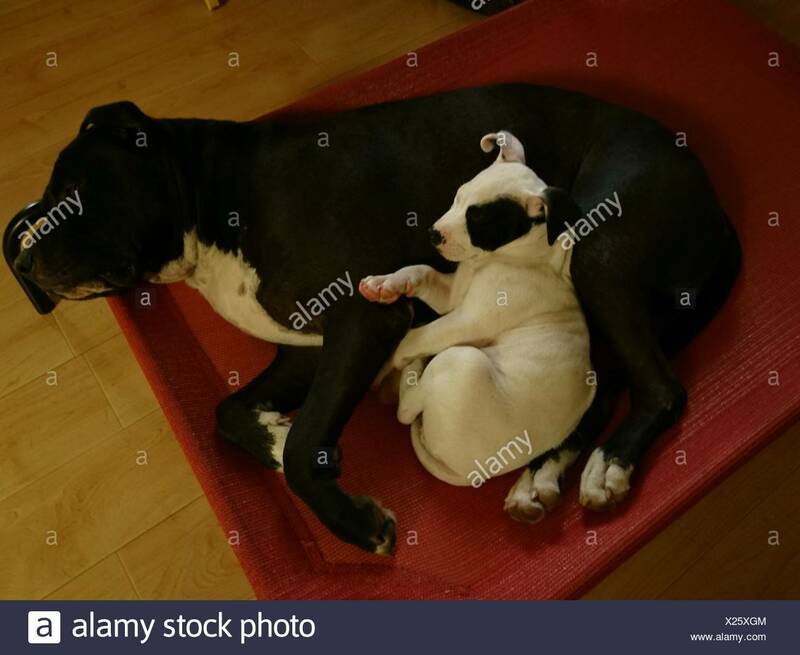 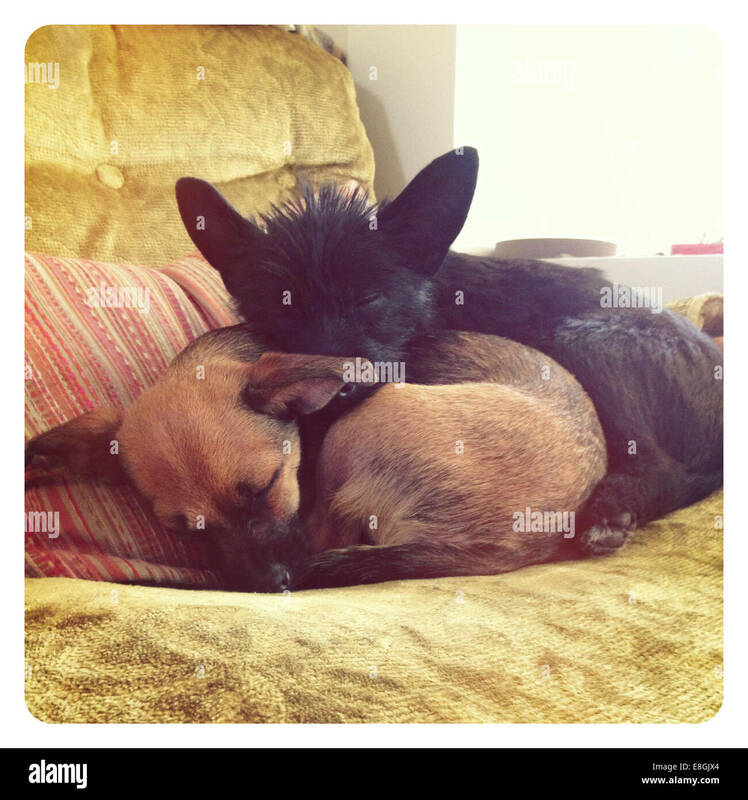 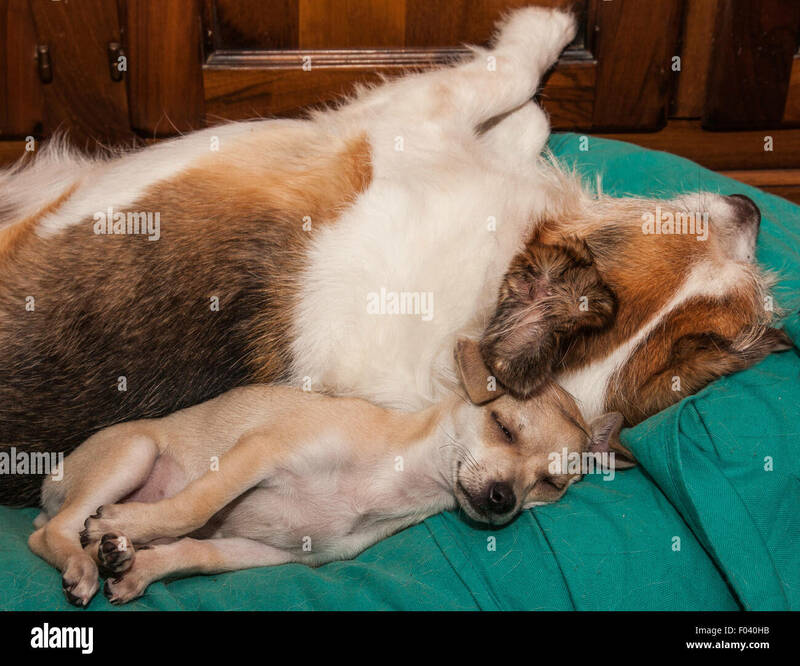 Two dogs sleeping under a blanket. 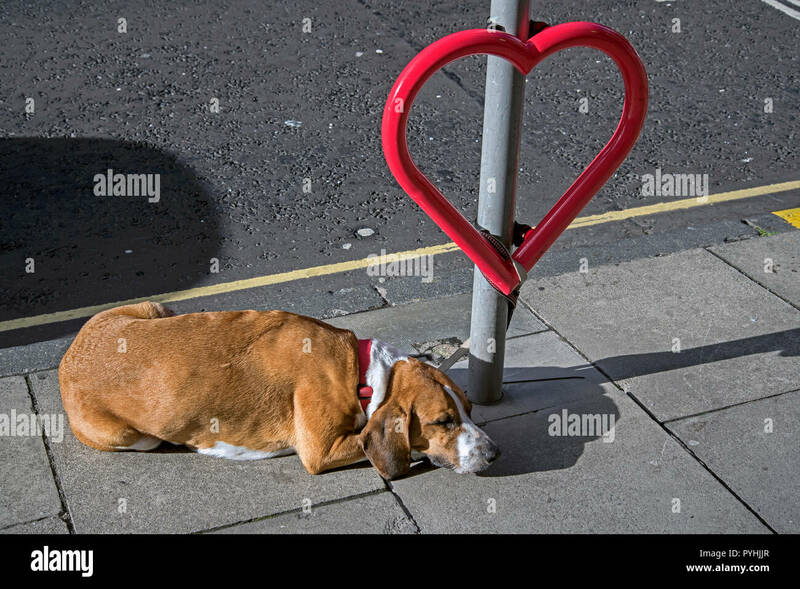 A dog sleeping tied to a heart shaped bicycle stand in Edinburgh. 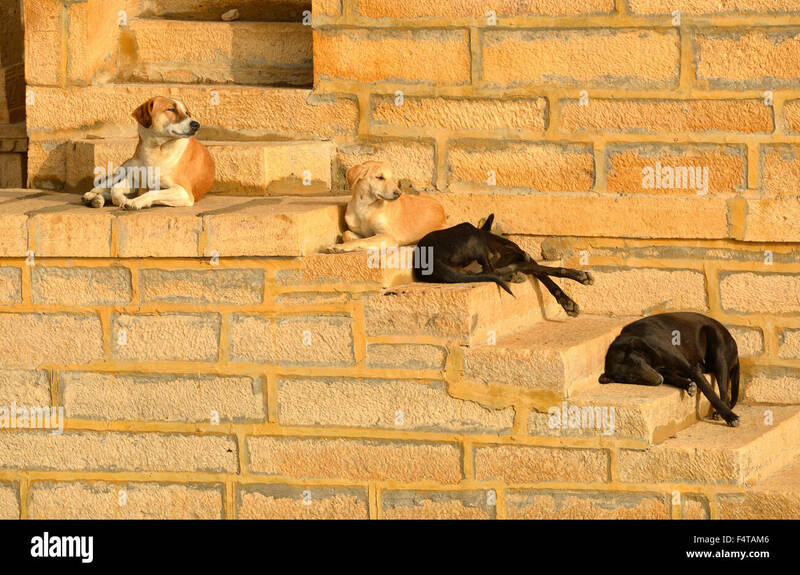 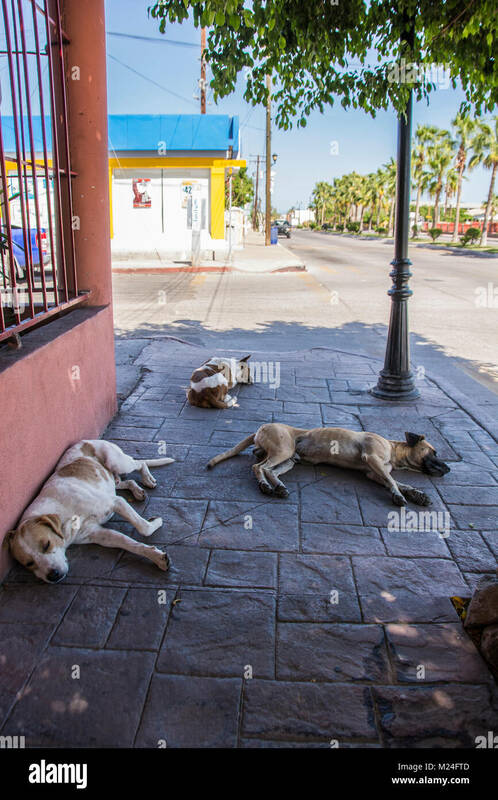 Three dogs sleeping on the sidewalk in Loreto, Baja, Mexico.